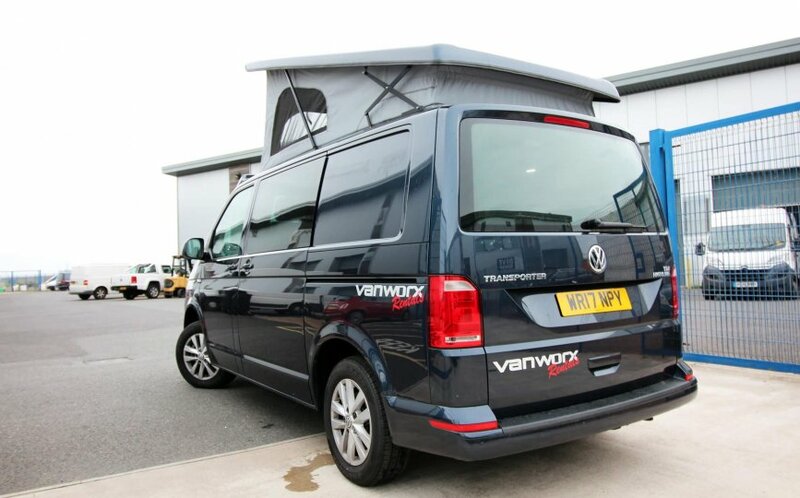 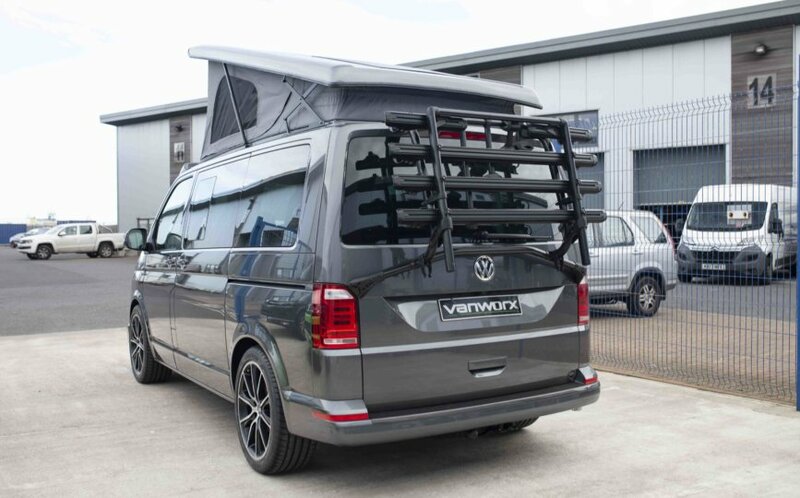 Vanworx VW T6 Camper vehicles in stock. 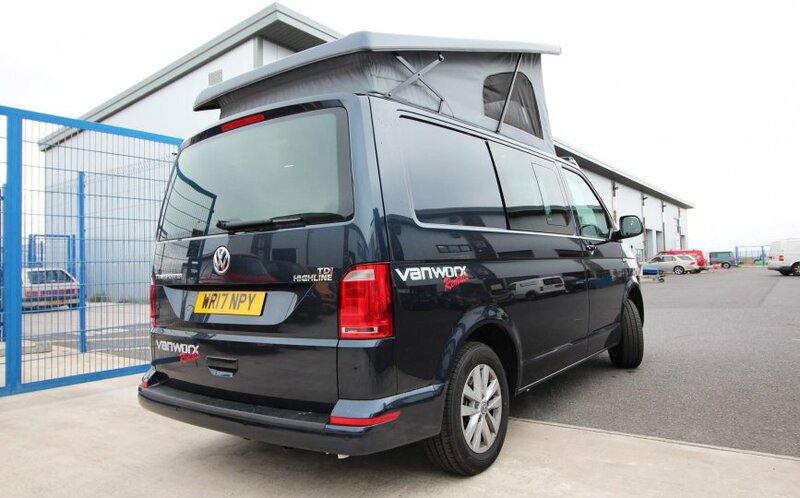 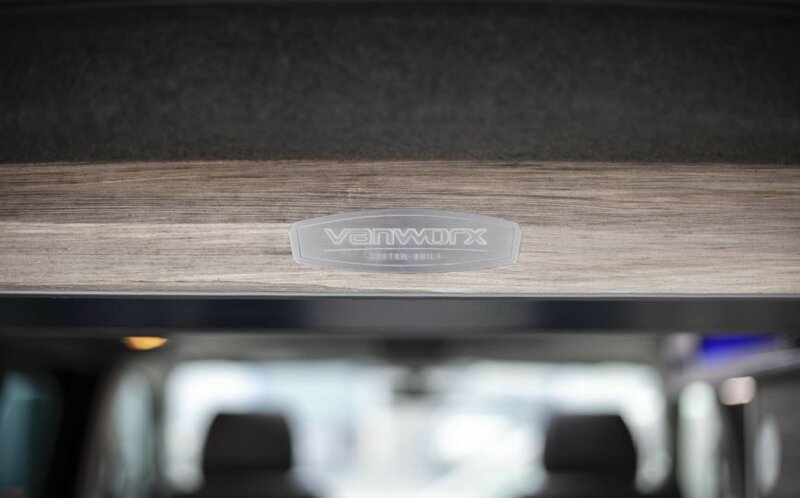 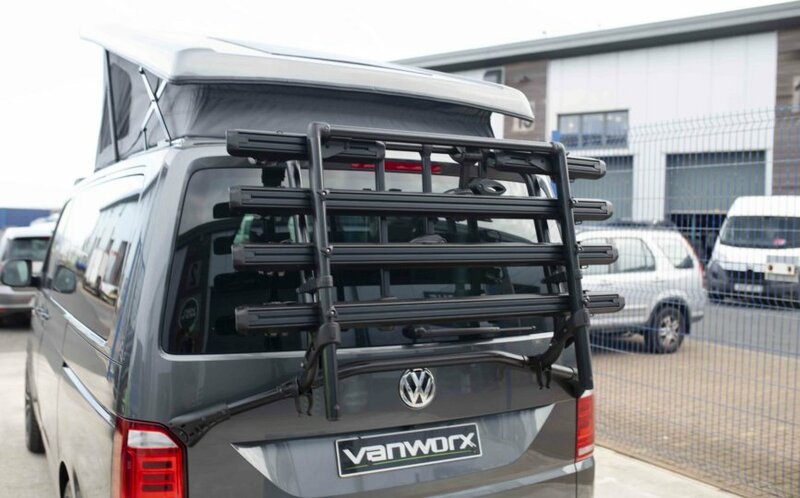 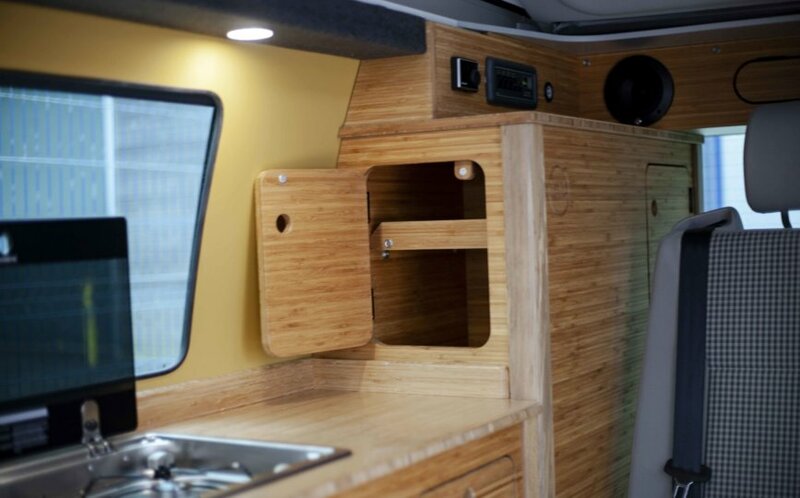 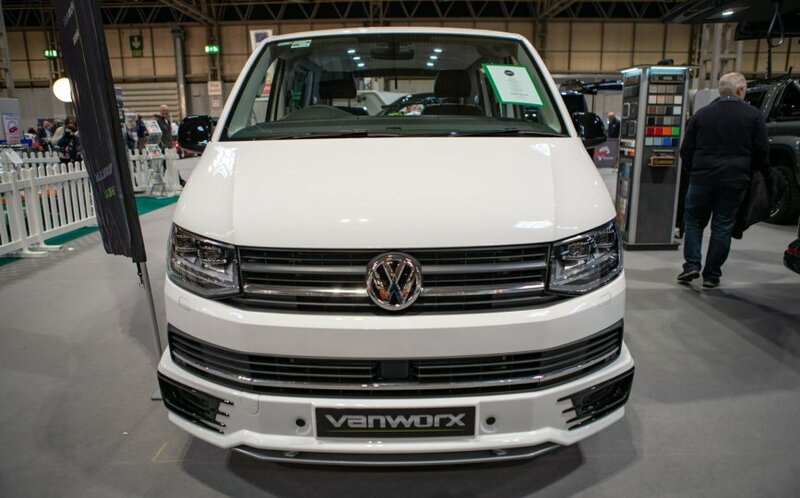 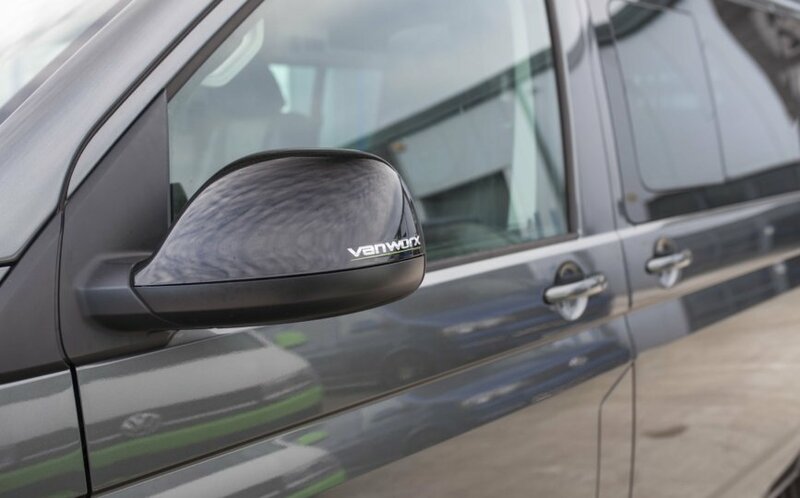 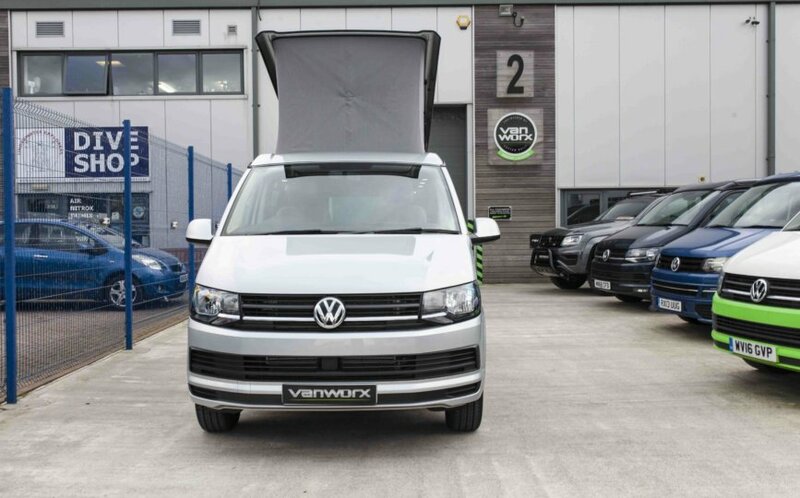 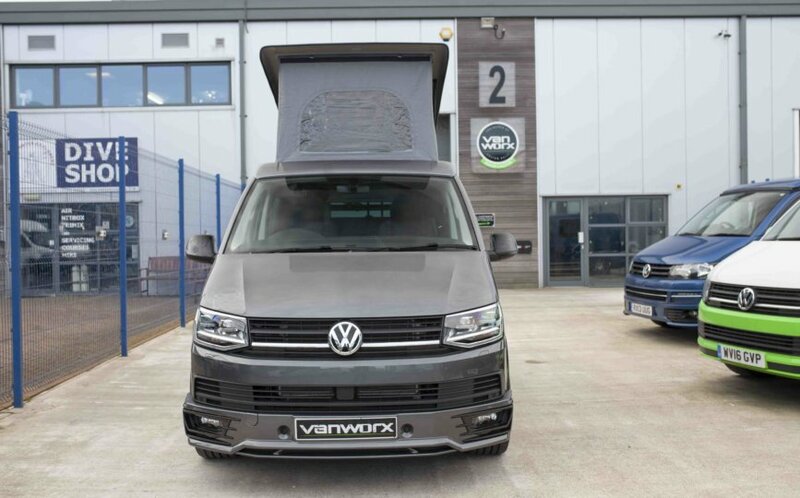 Vanworx have some great brand new and ex-demonstrator VW Campervans for sale or brand new stock available to order. 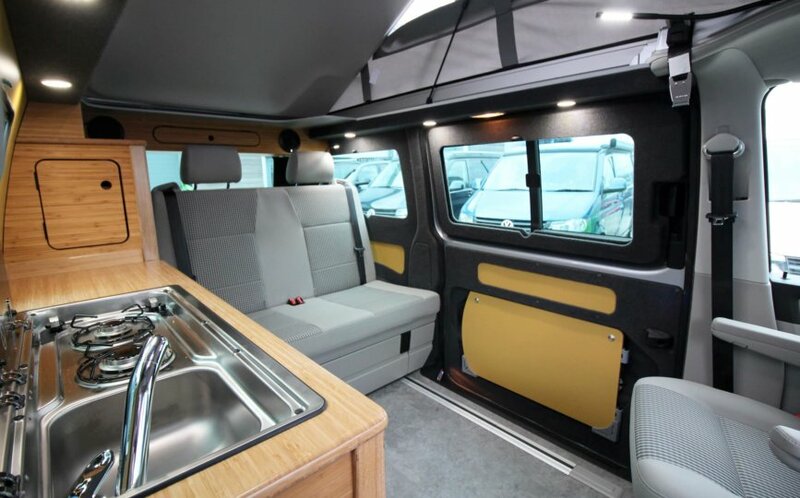 For 2019 we are allocating some of our build slots to brand new campers that are ready to go and you can see the specs below. 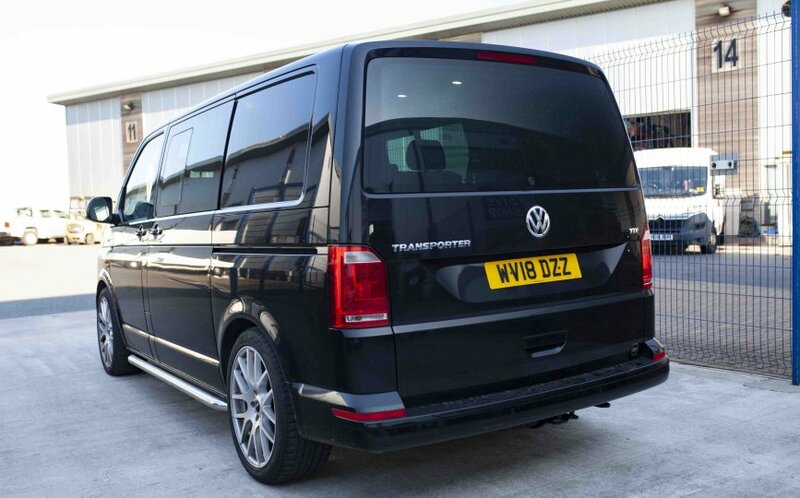 Please note vehicle status/location. 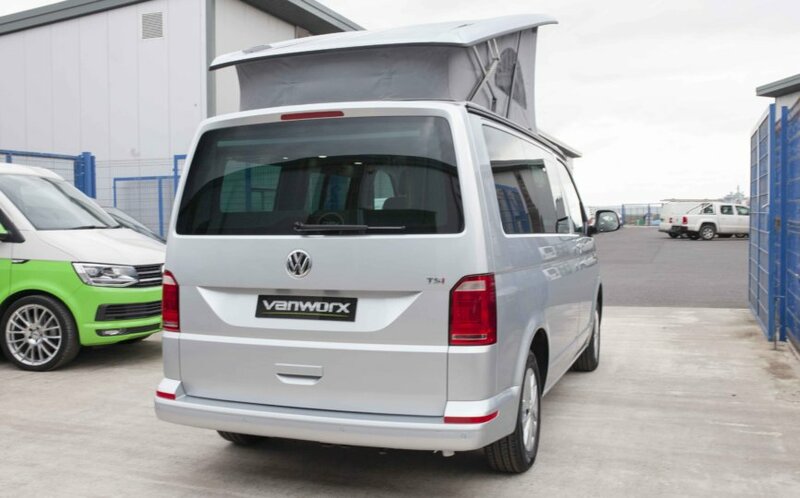 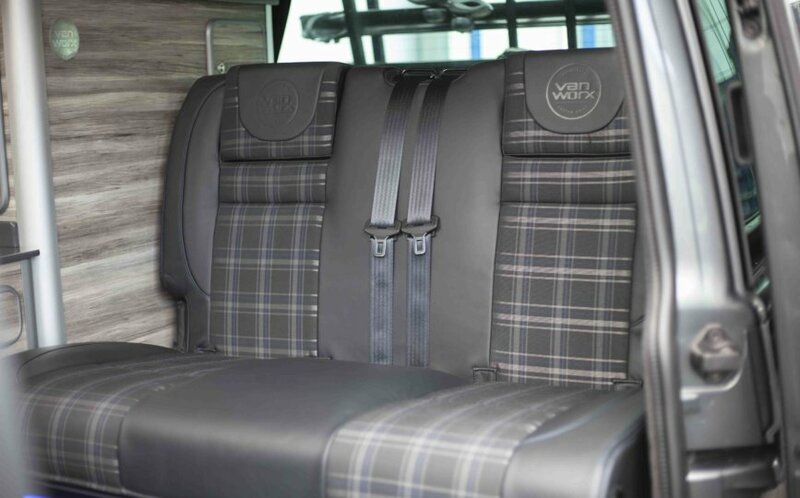 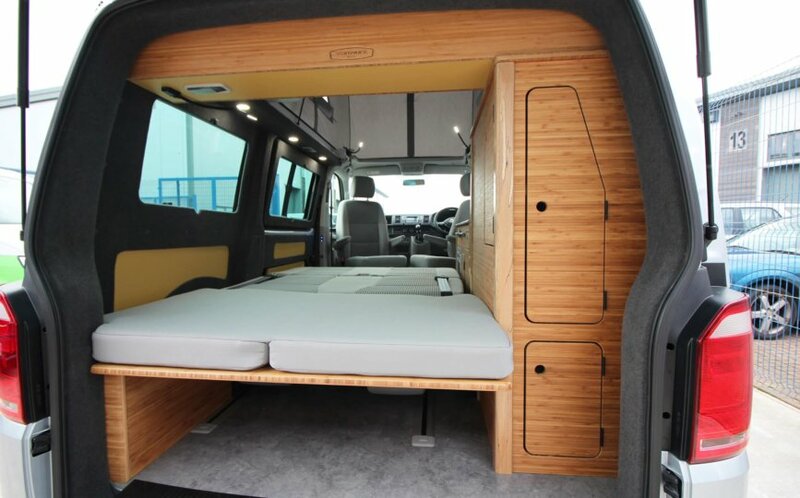 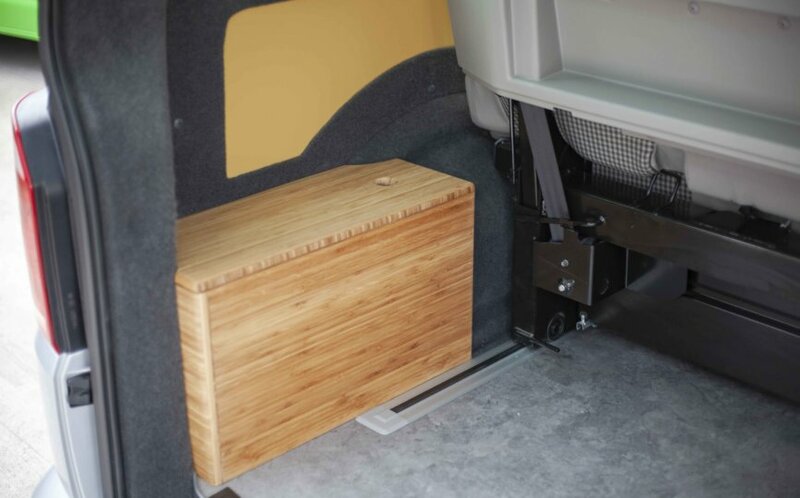 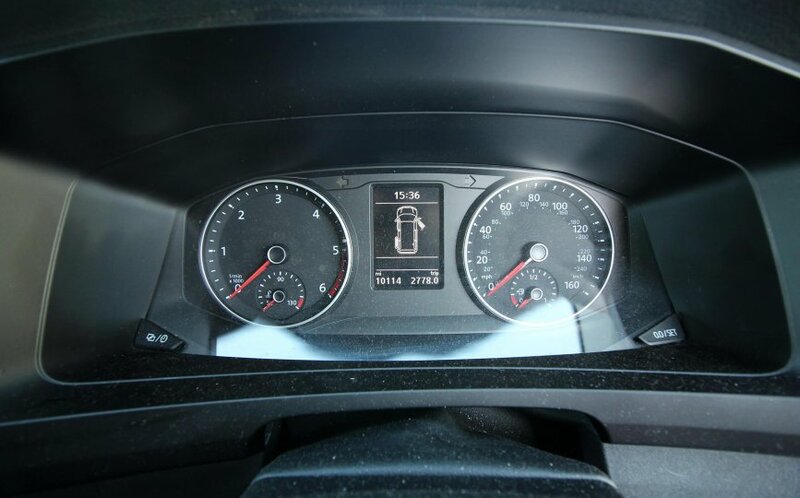 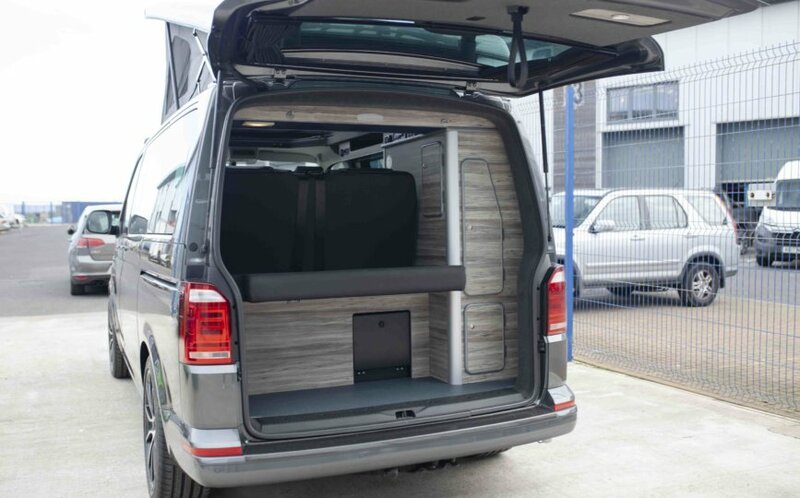 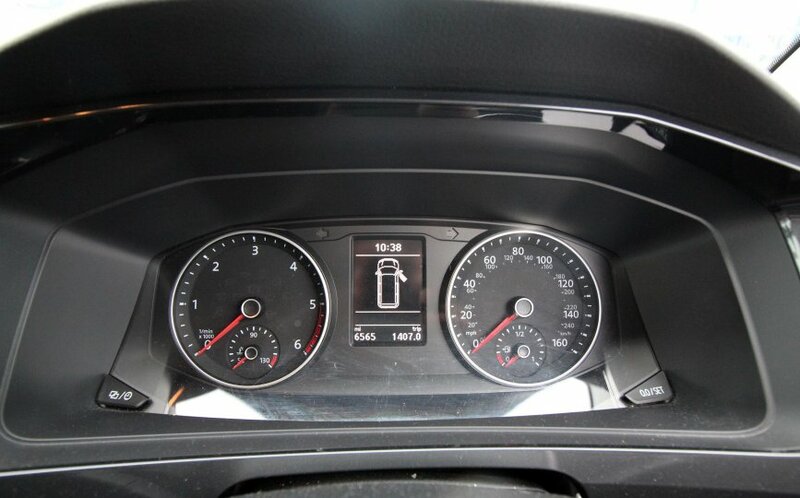 For our kombi stock please visit our dedicated VW T6 Kombi sales site at vanworxkombis.co.uk. 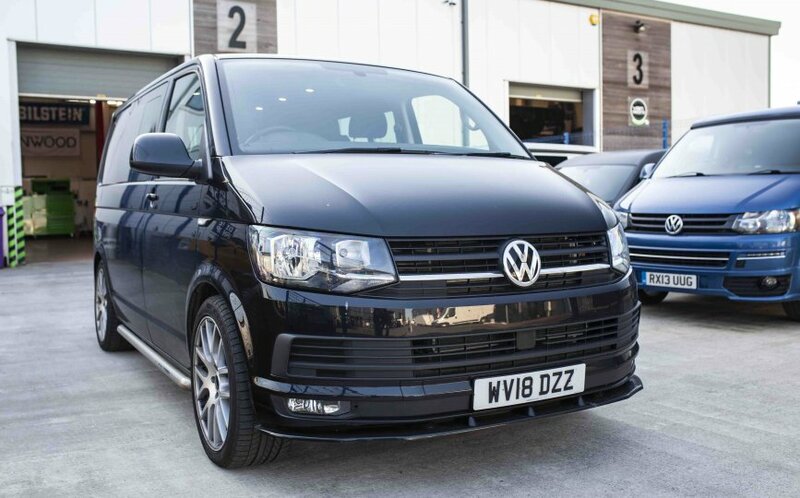 A rare chance to buy 1 of 2 T6 Window vans with factory fitted California roof. 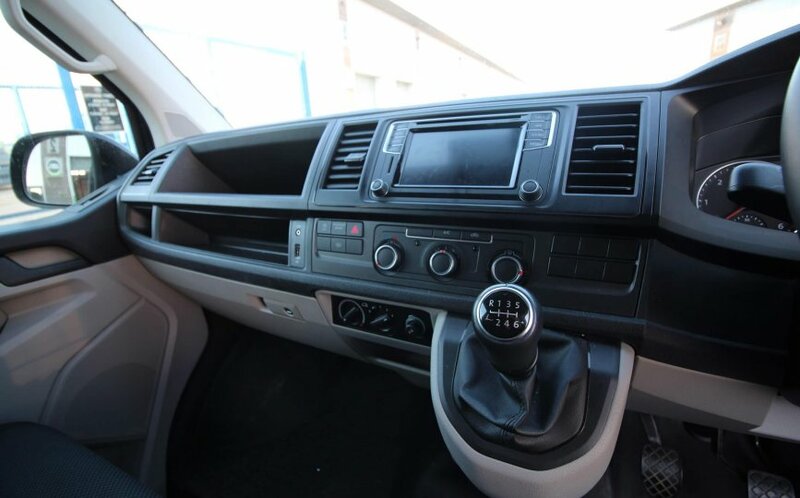 2.0 150 petrol engine with 6 speed manual gear box, this vehicle is extremely rare. 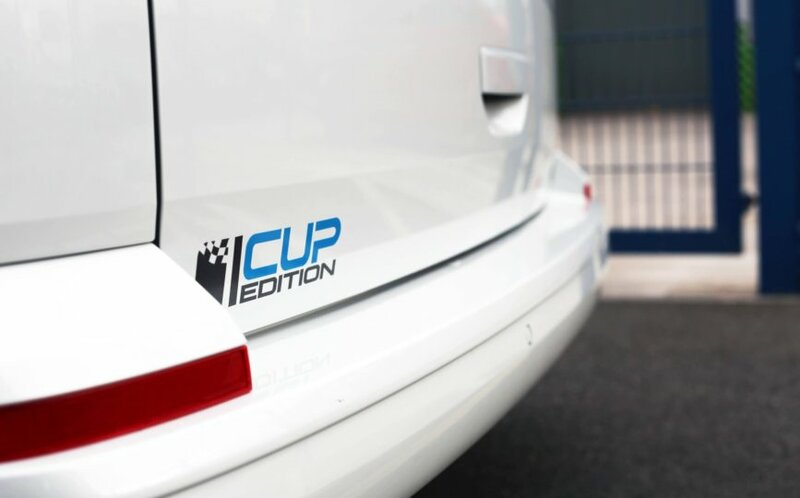 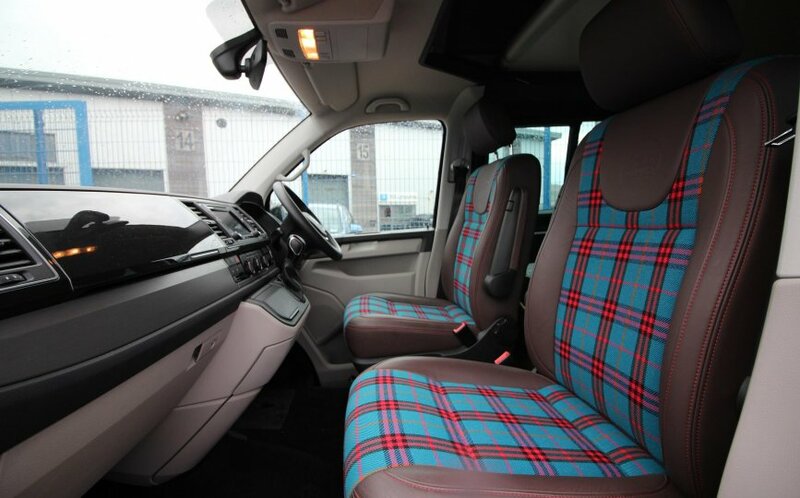 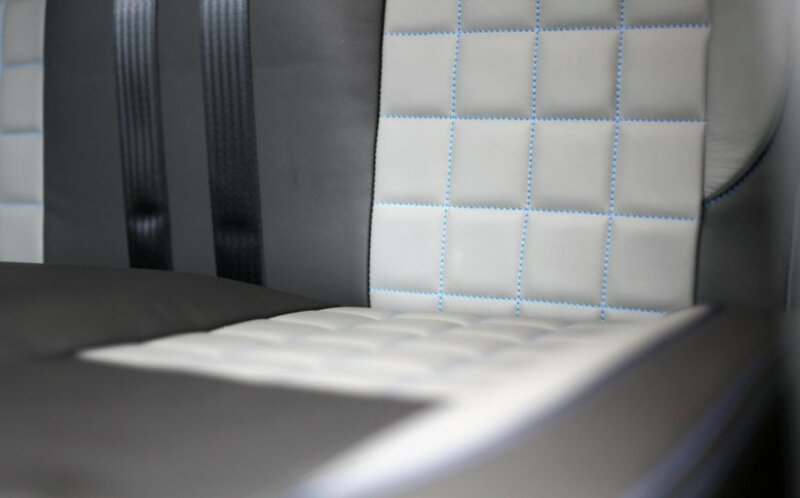 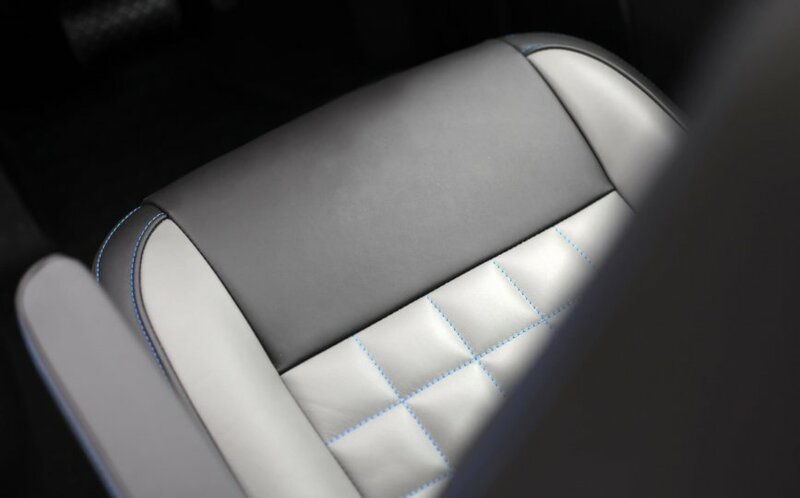 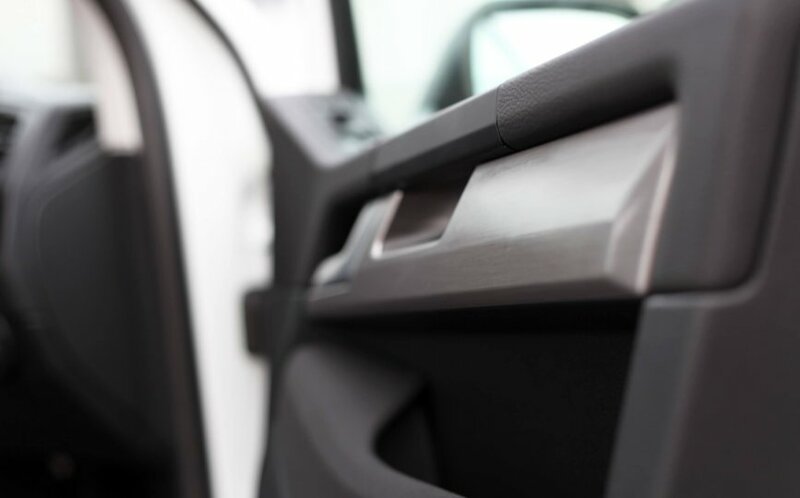 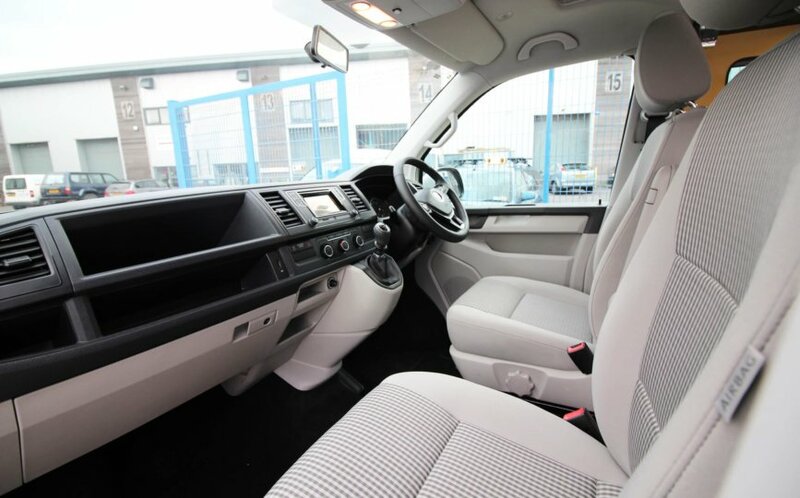 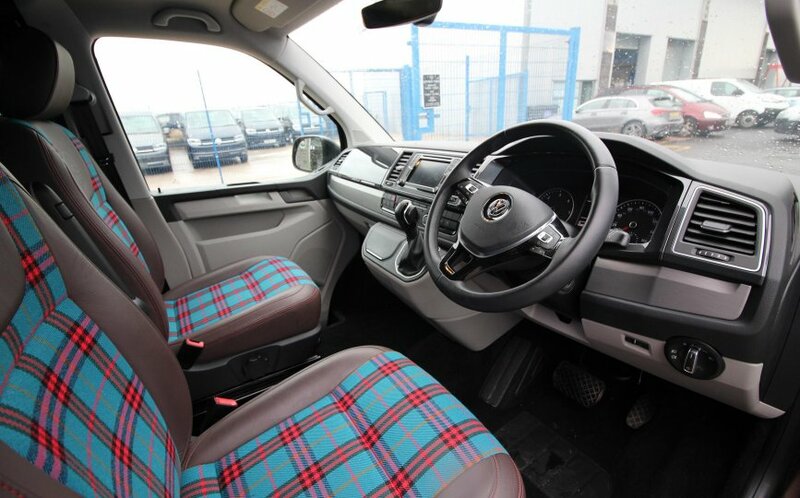 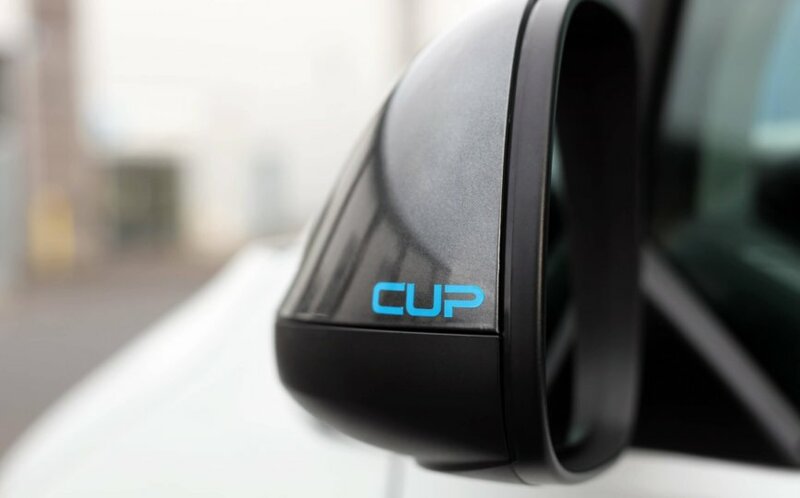 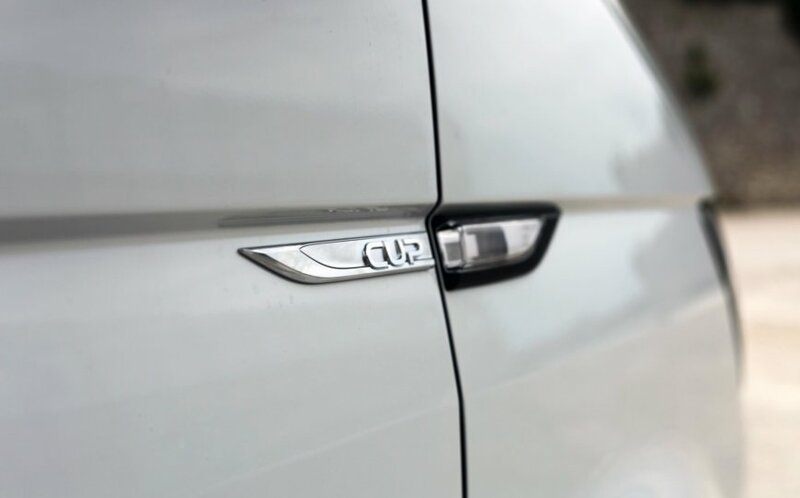 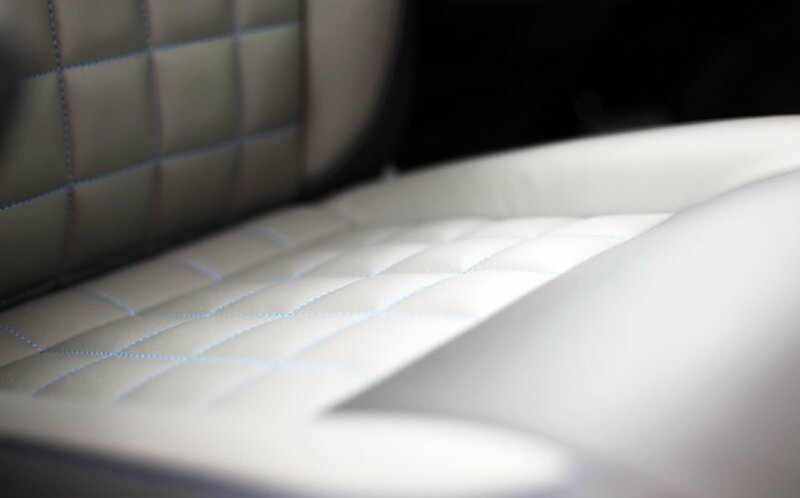 Fitted with a selection of extras including metallic paint, swivel seats, air conditioning and more. 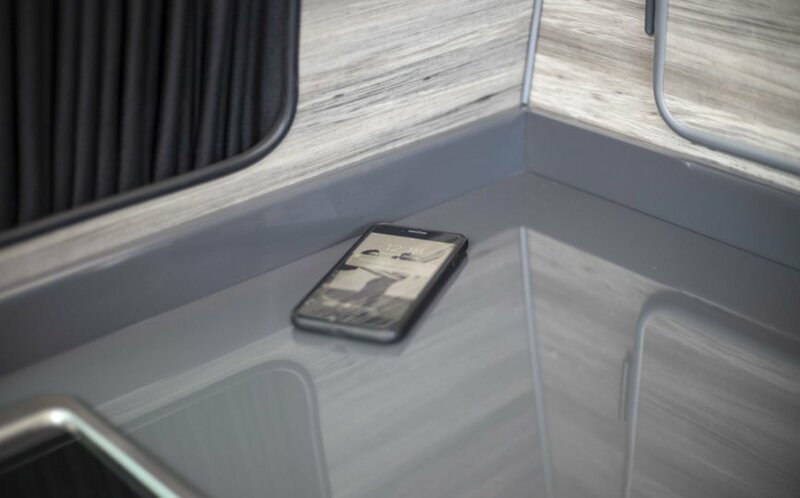 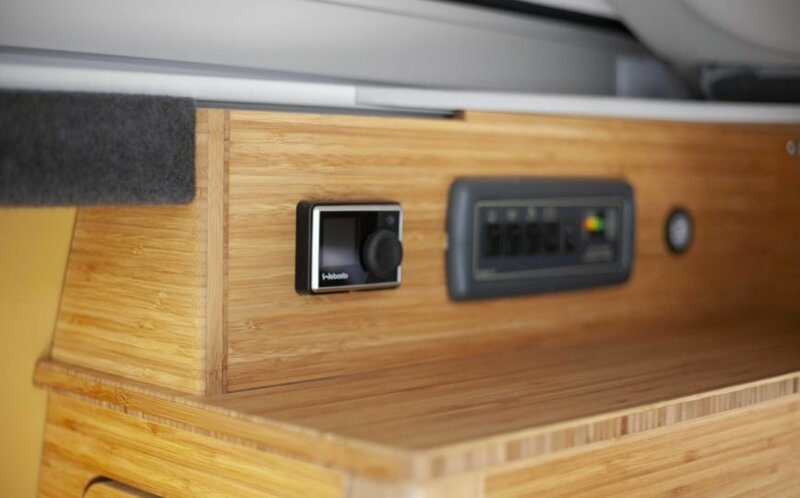 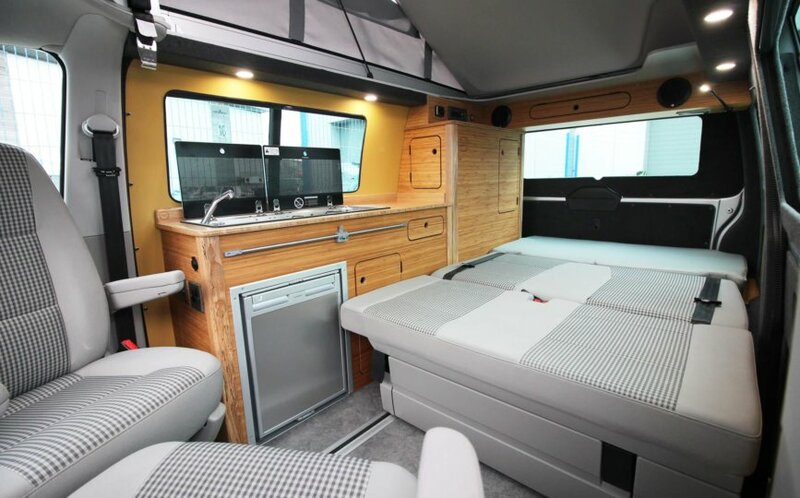 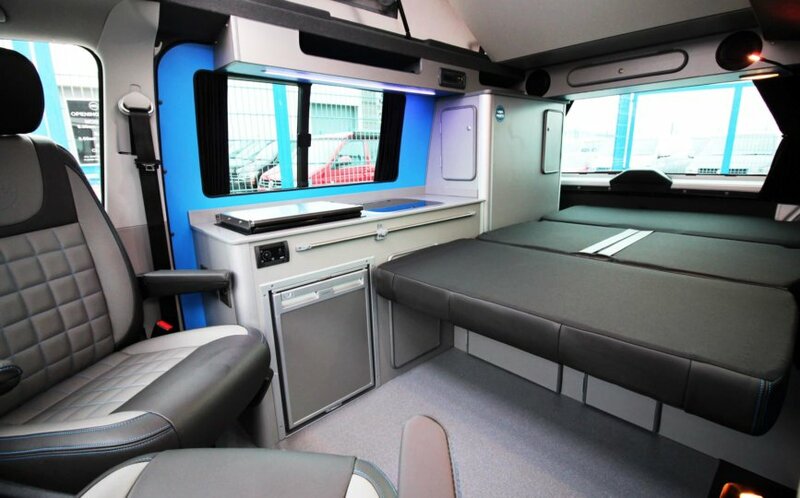 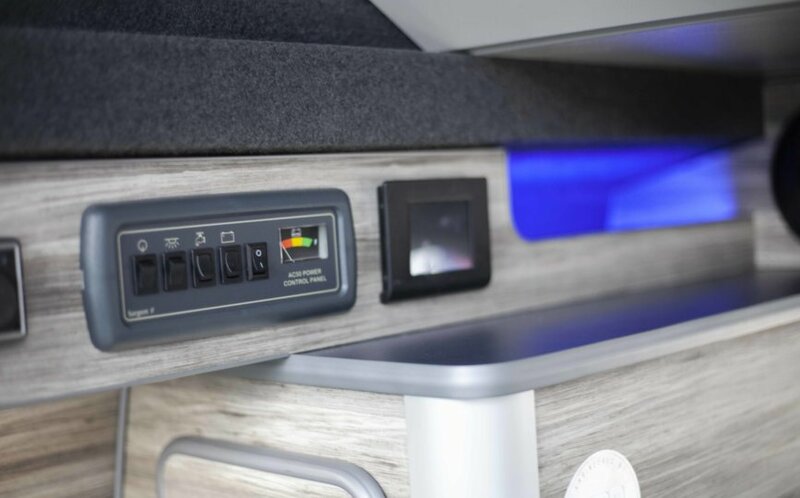 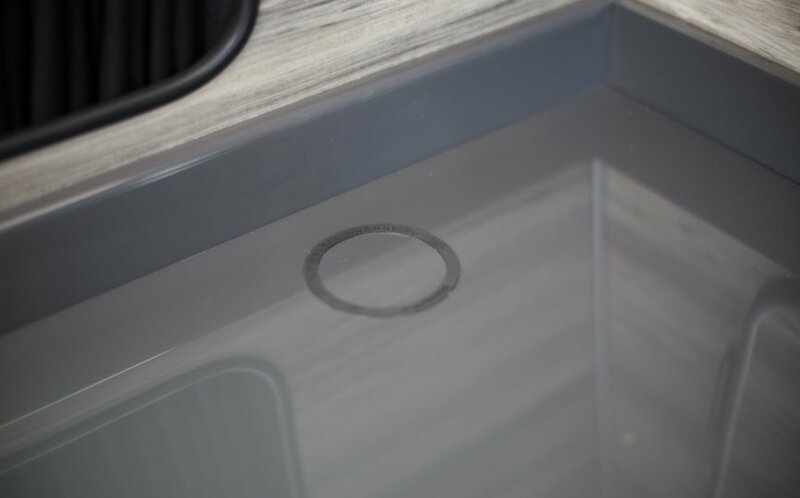 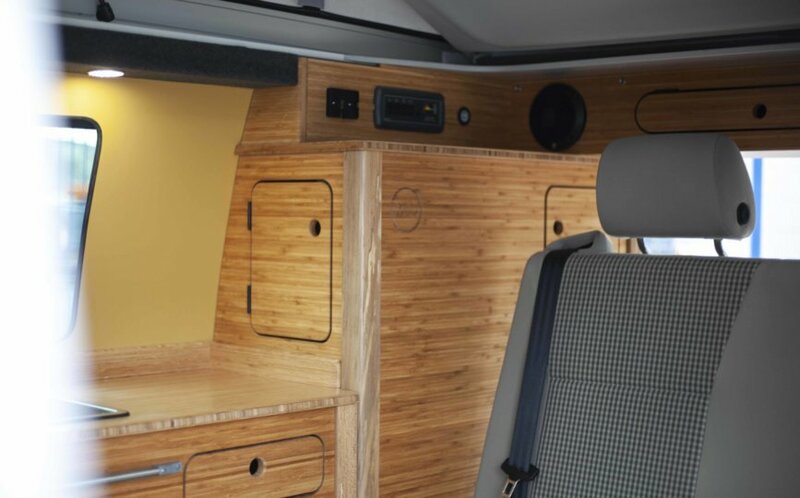 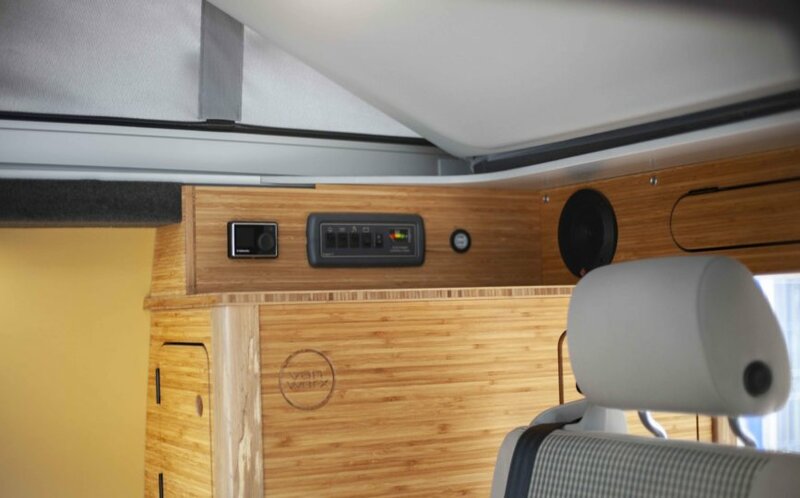 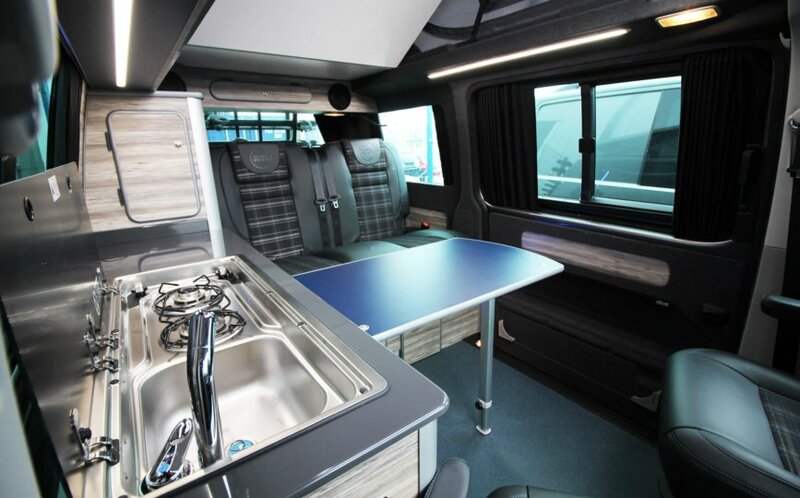 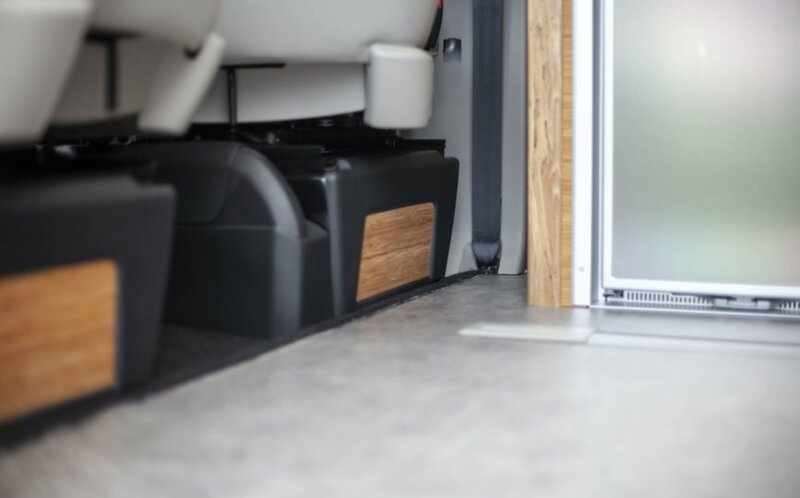 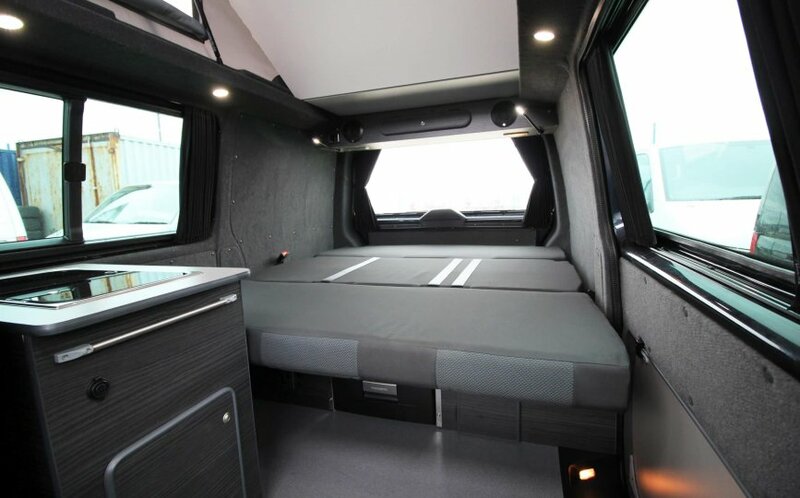 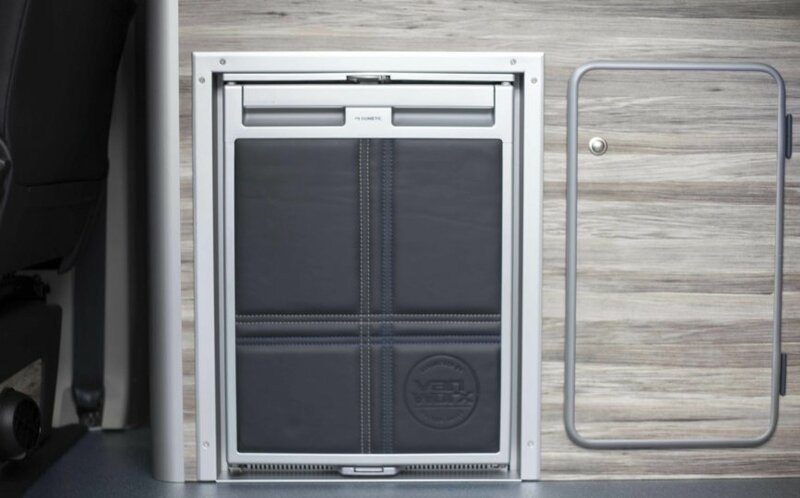 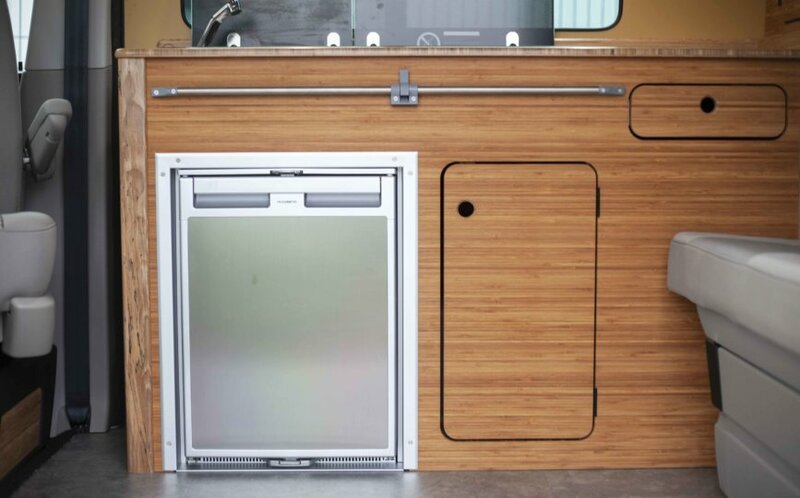 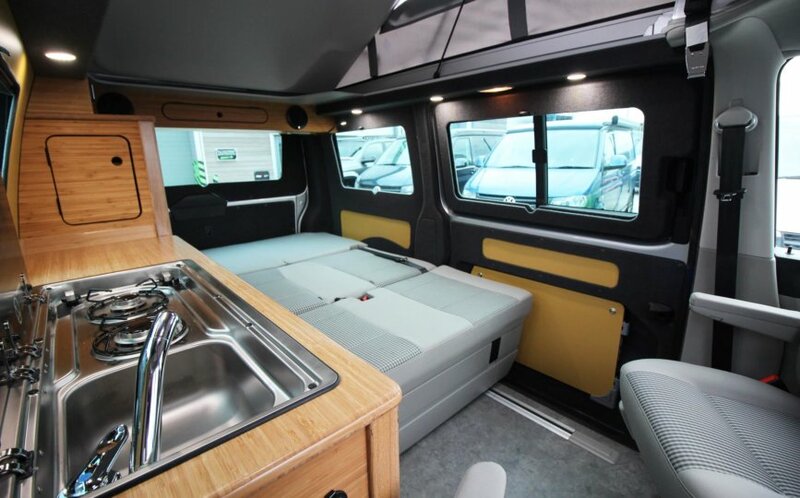 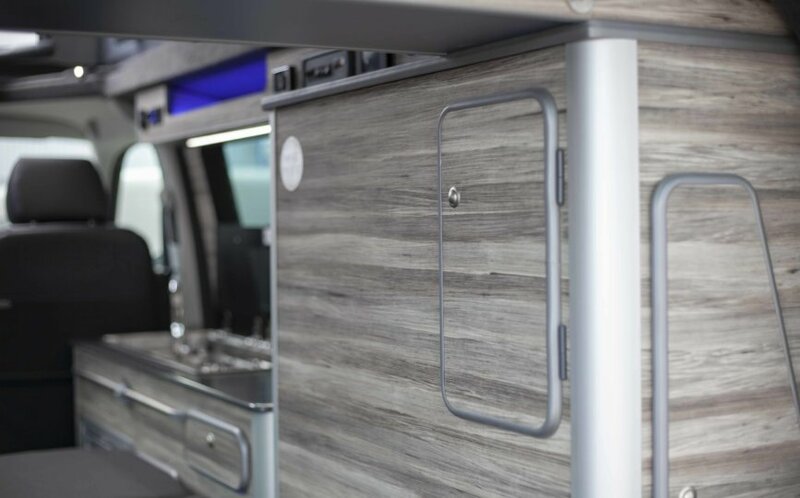 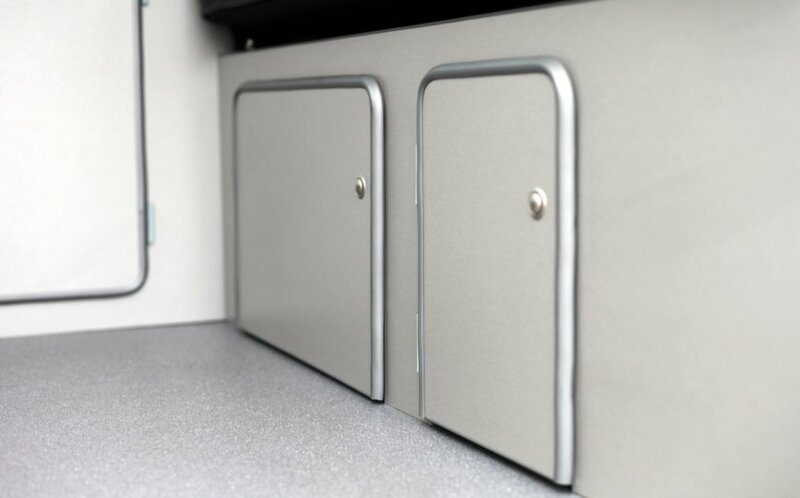 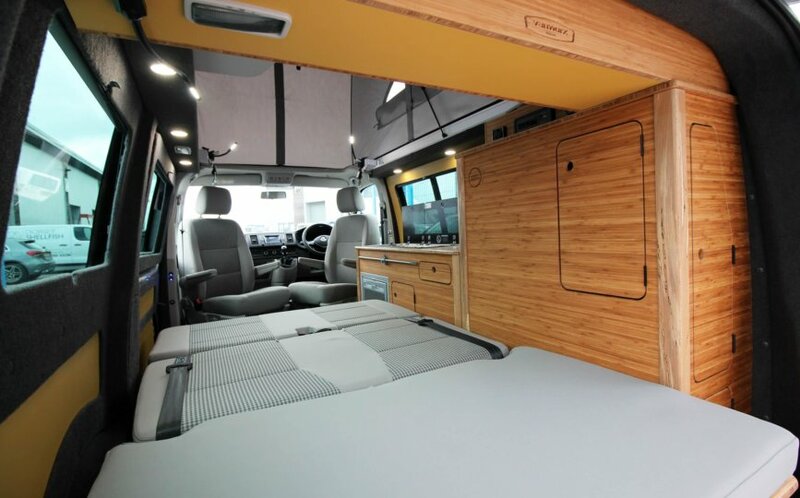 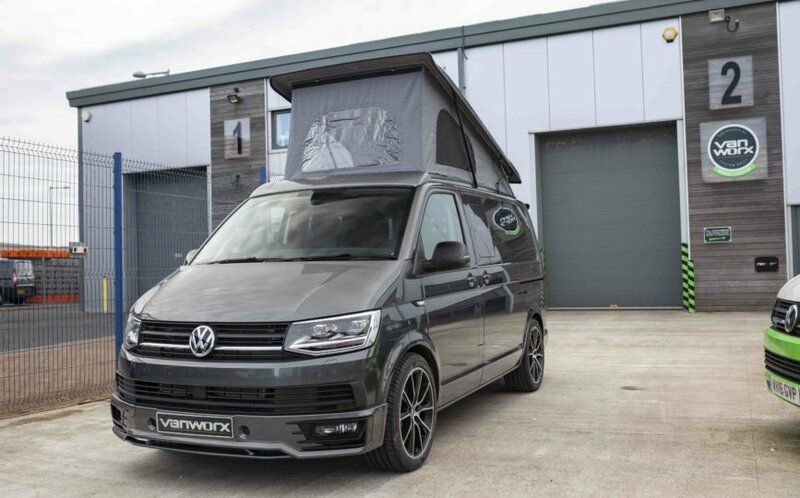 Vanworx have completed the conversion with California sliding bed system, full camper install including, hob, sink, fridge and freezer along with a Webasto night heater. 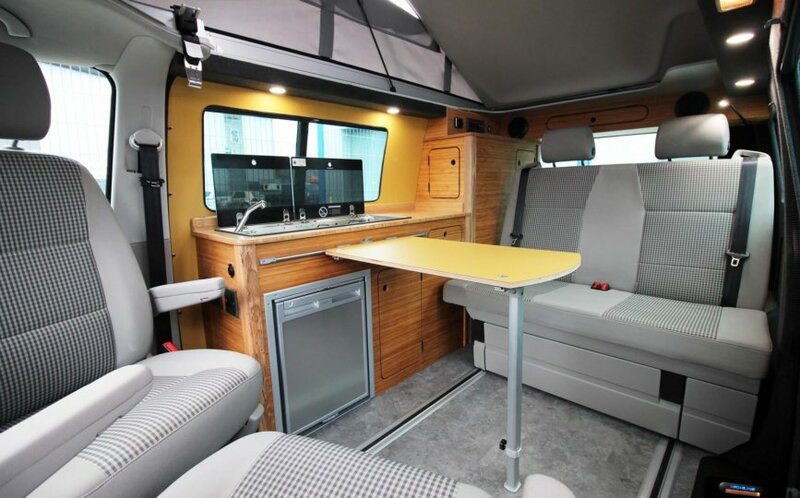 Custom Built one off Bamboo furniture. 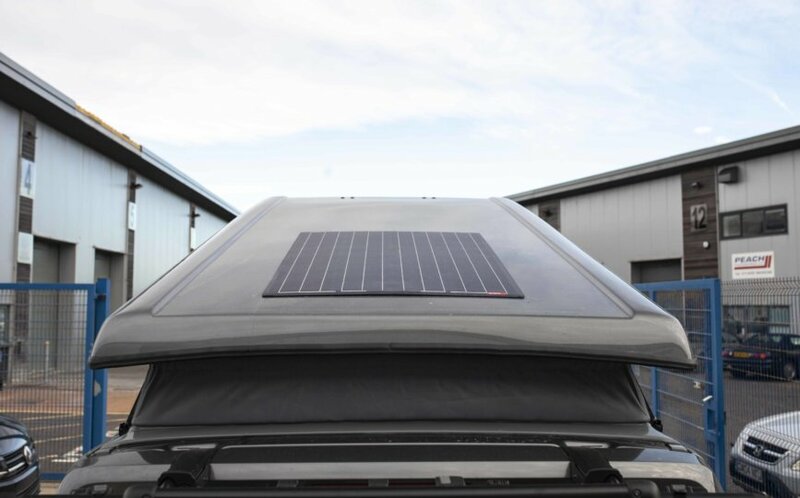 California roof bed. 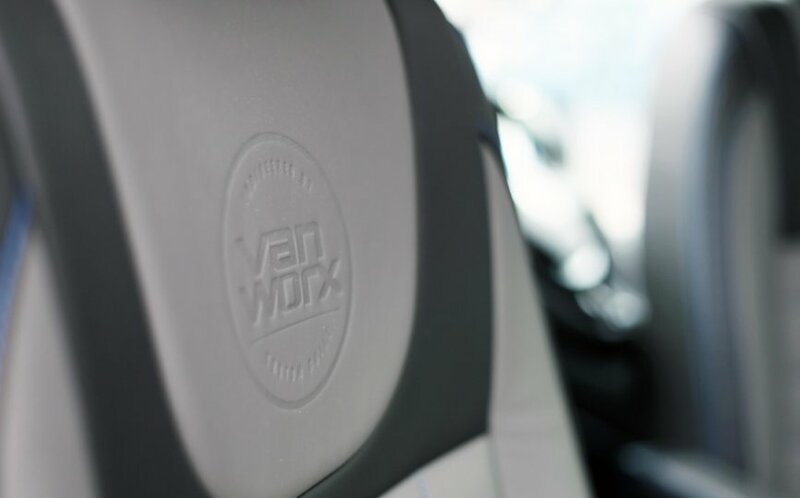 A Vanworx member of staff’s vehicle. 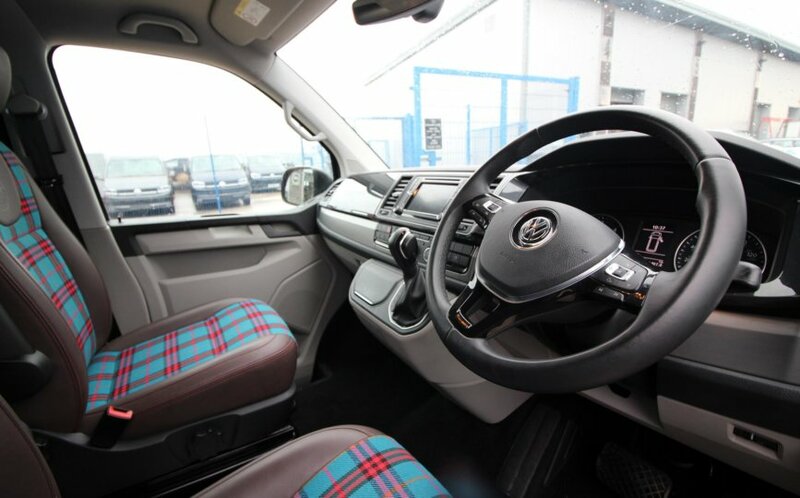 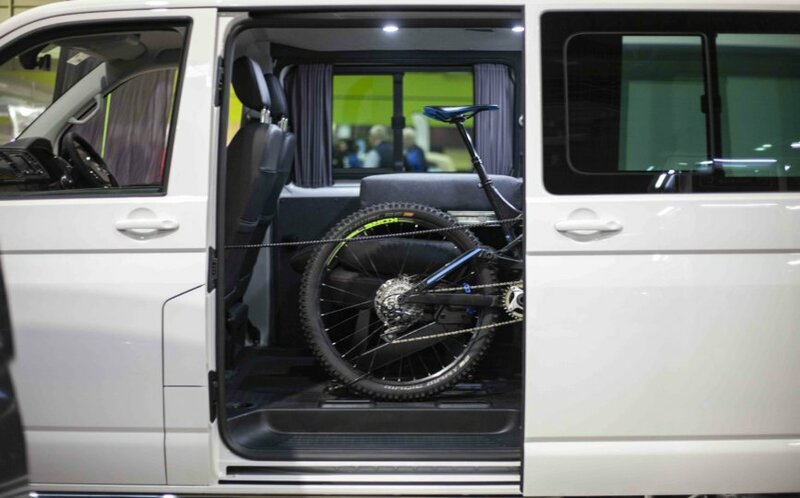 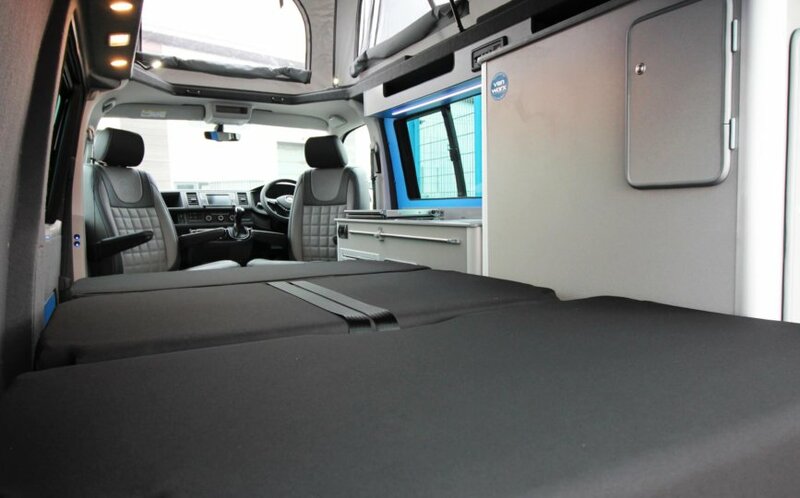 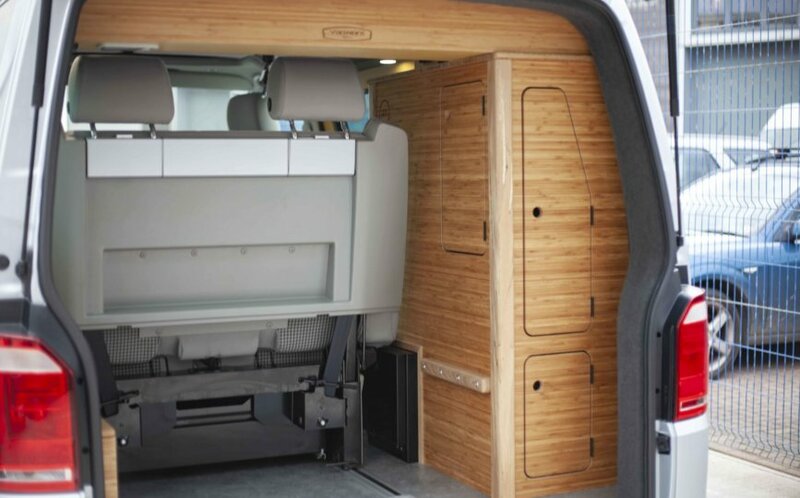 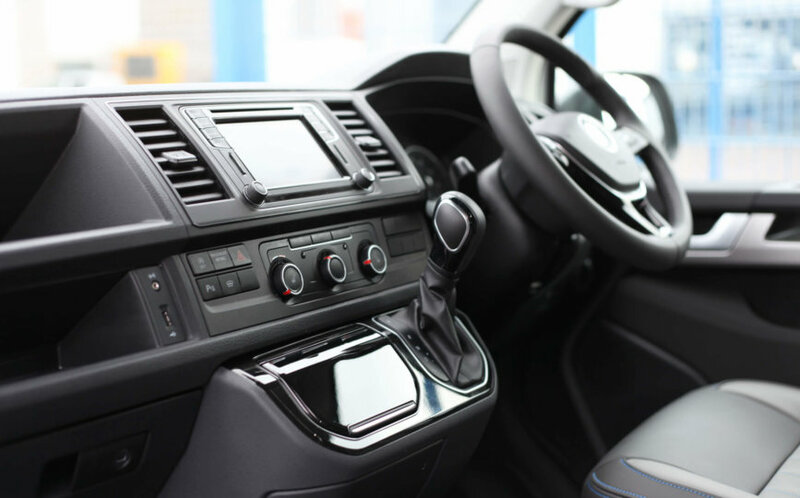 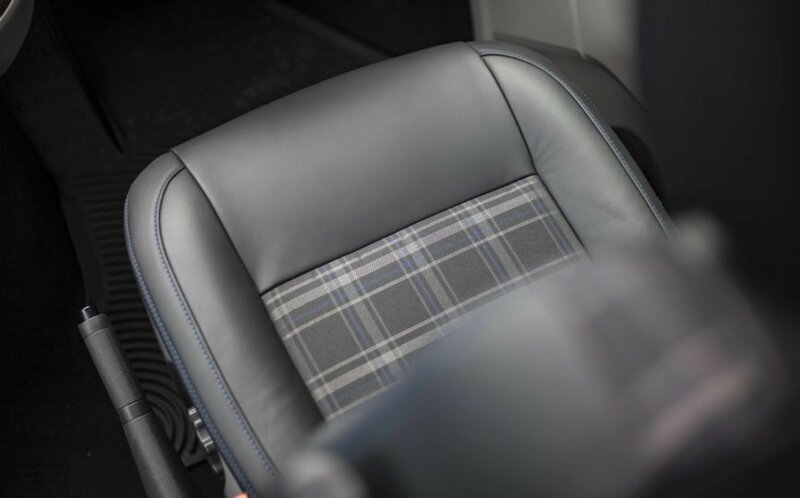 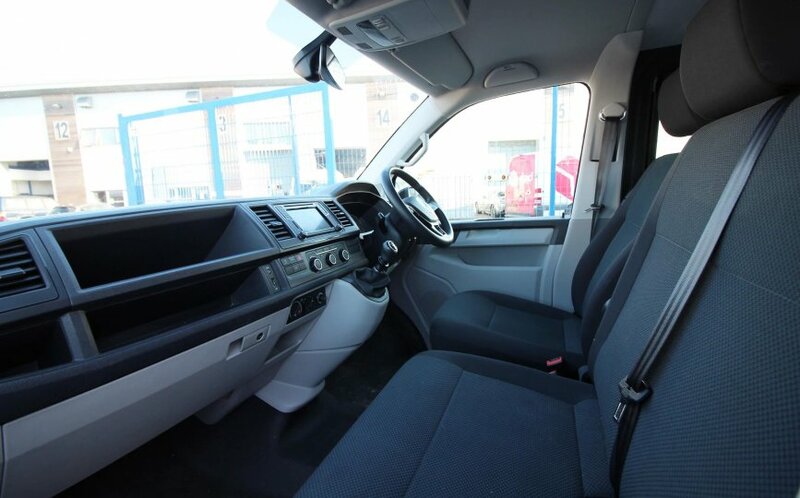 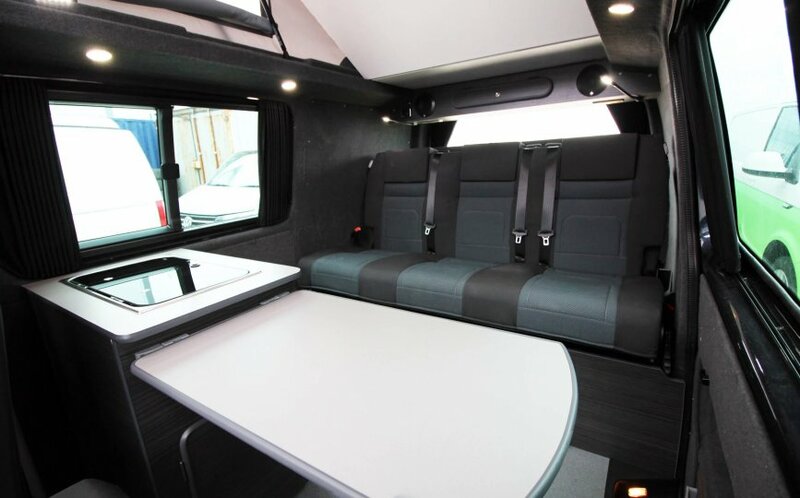 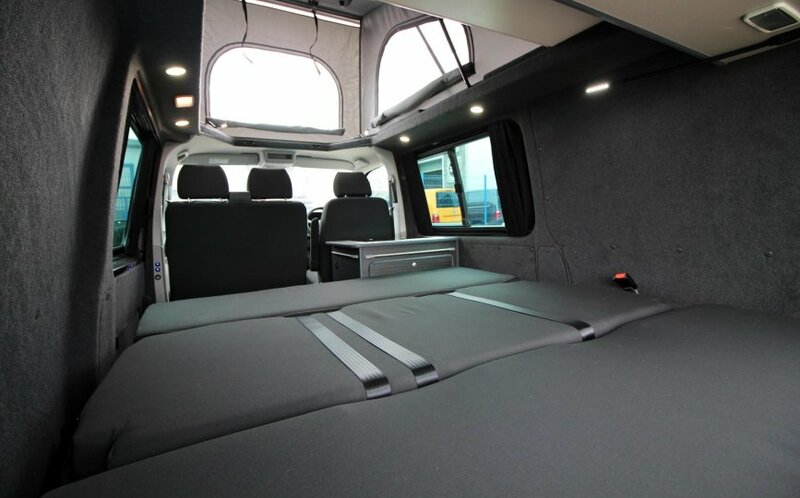 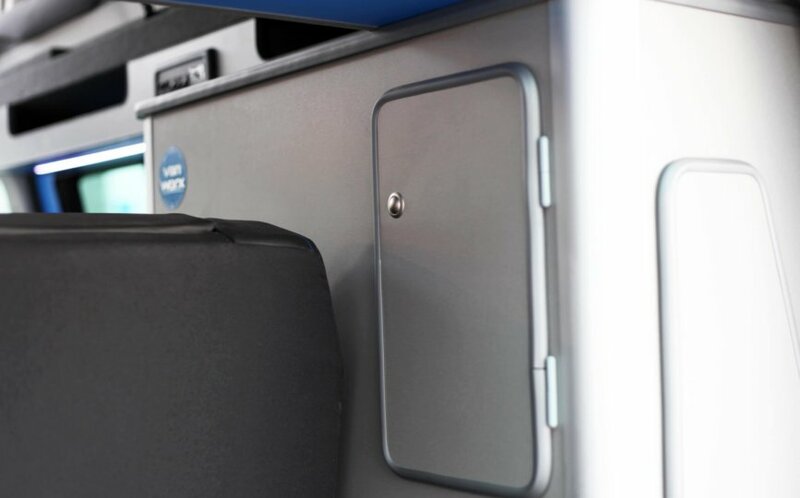 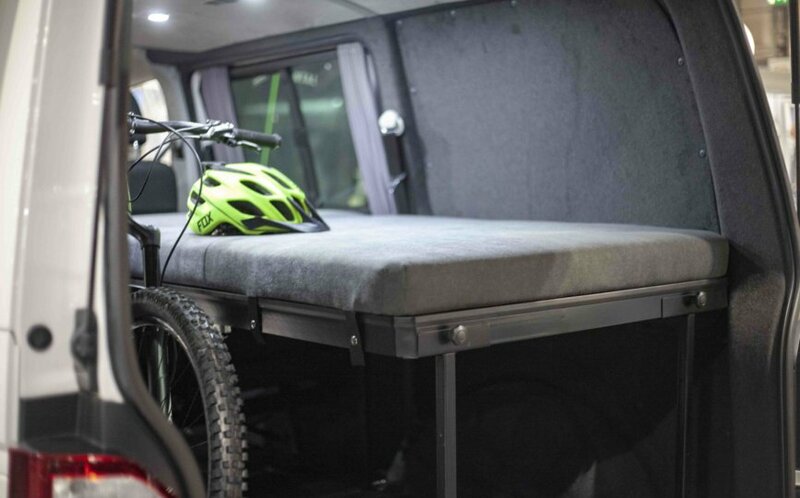 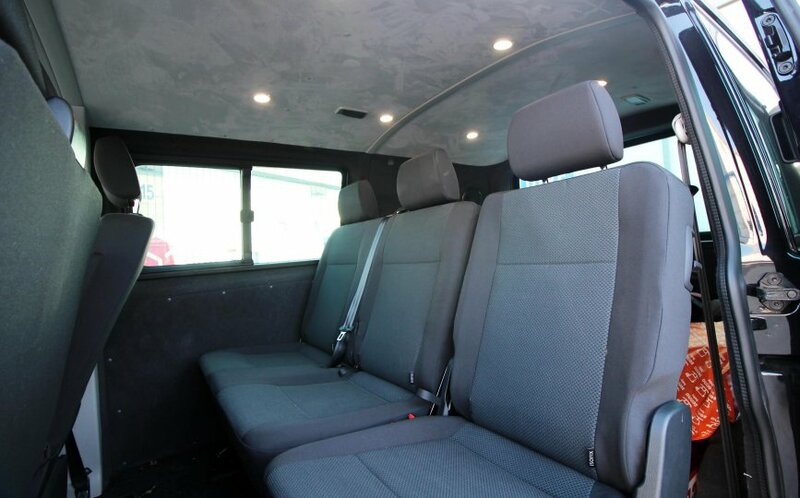 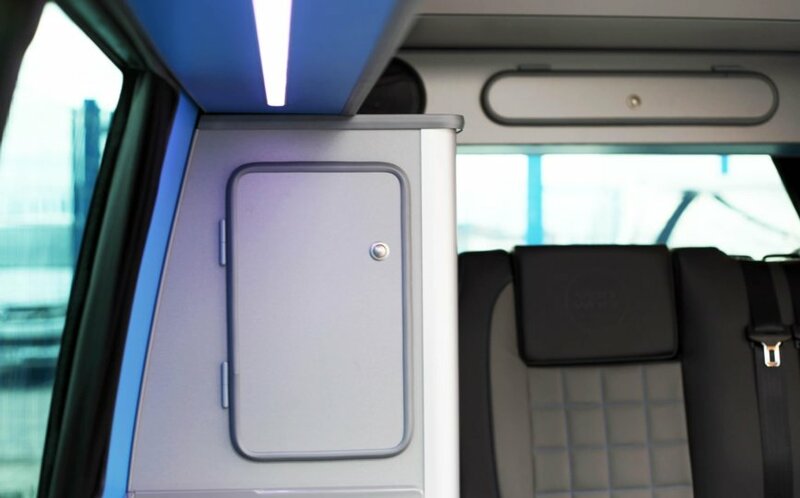 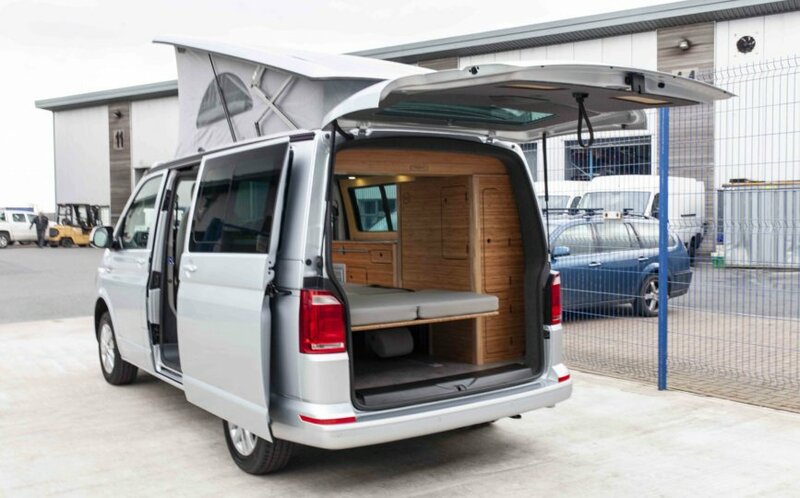 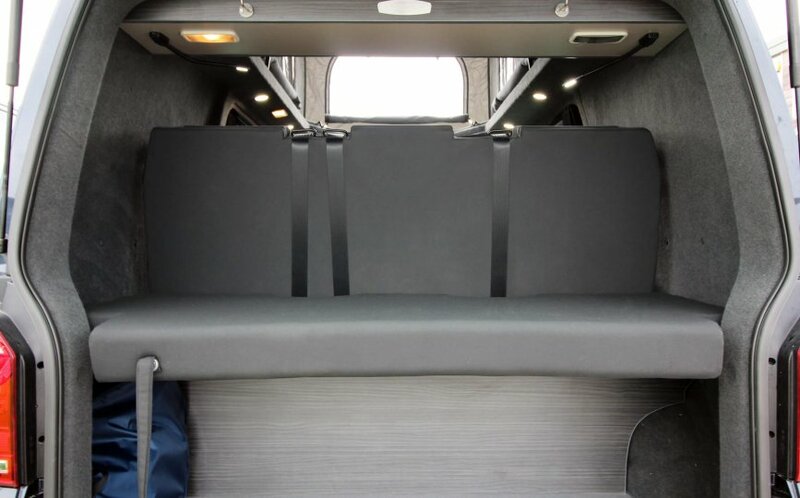 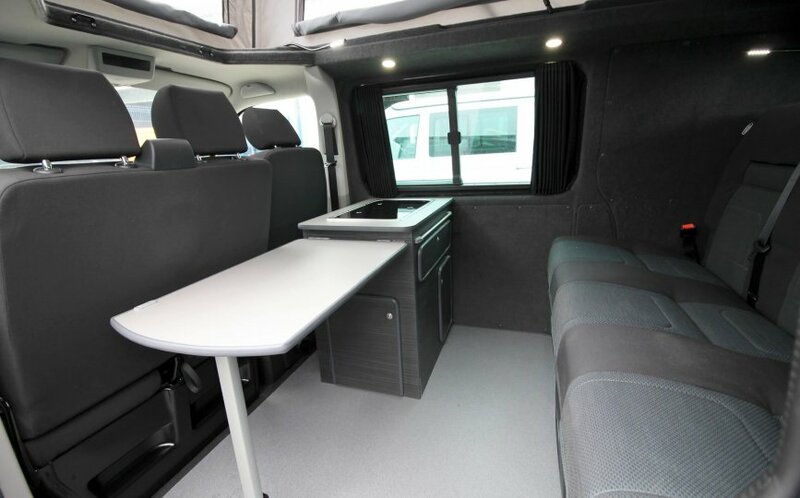 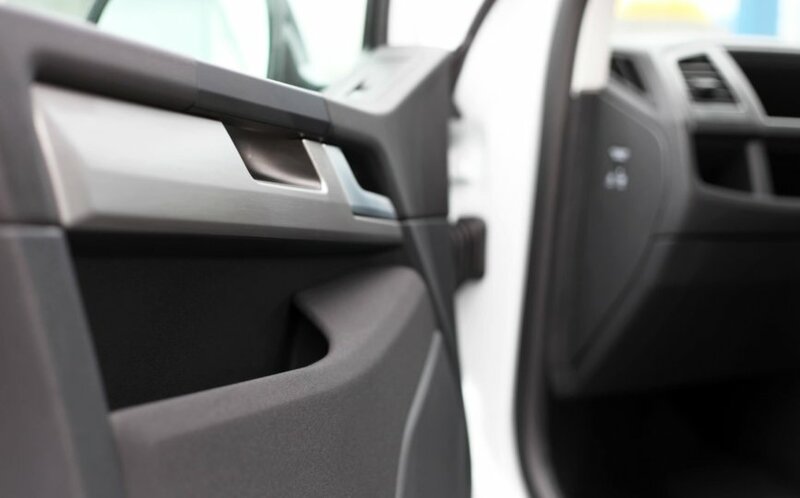 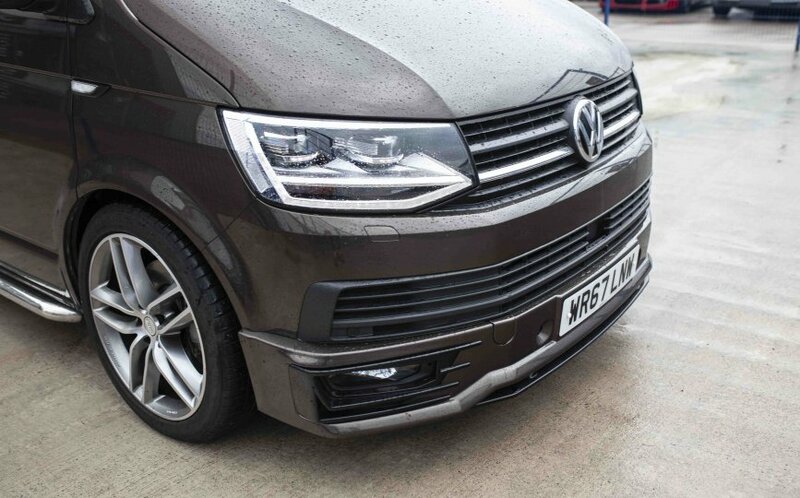 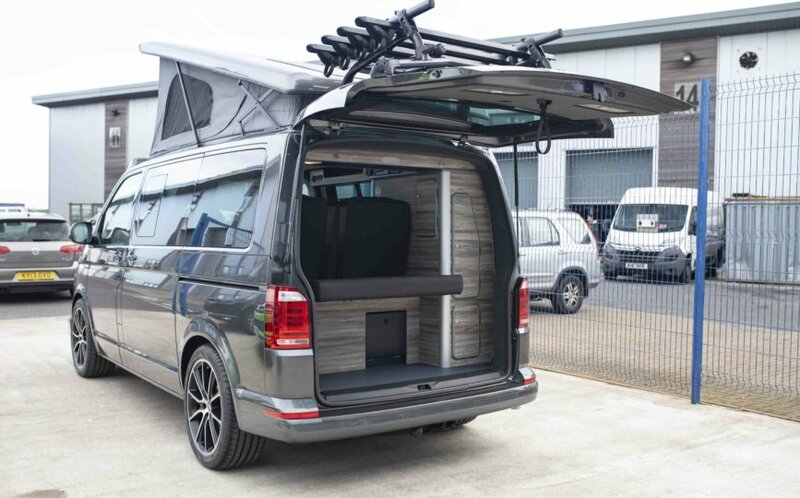 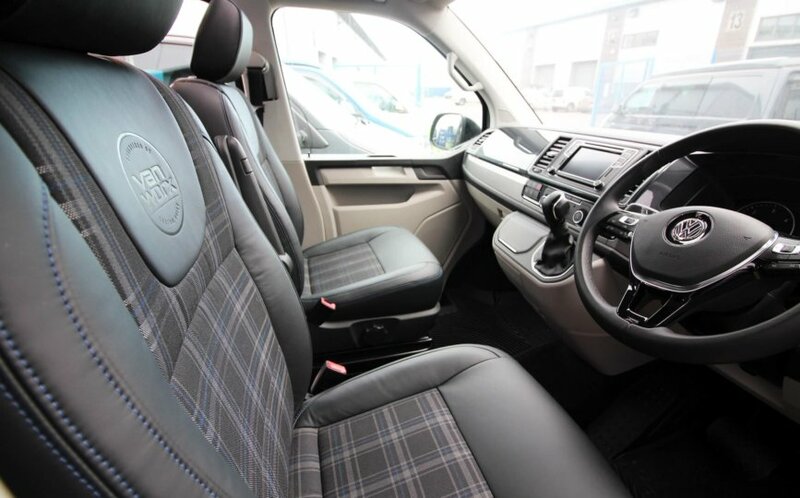 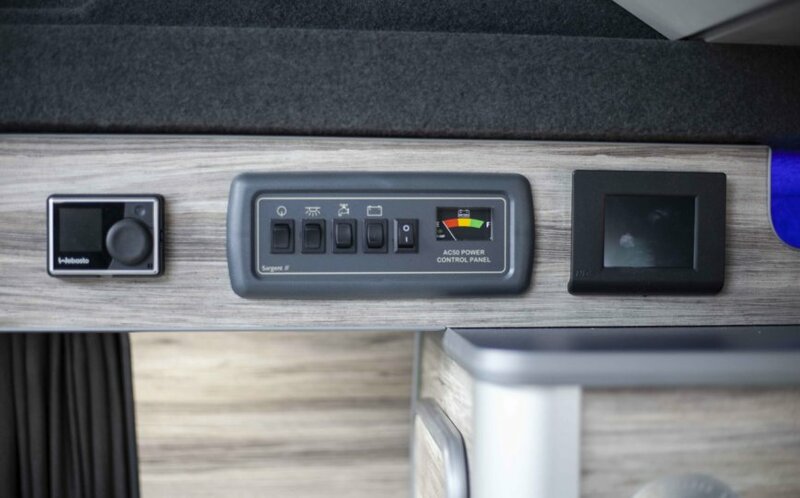 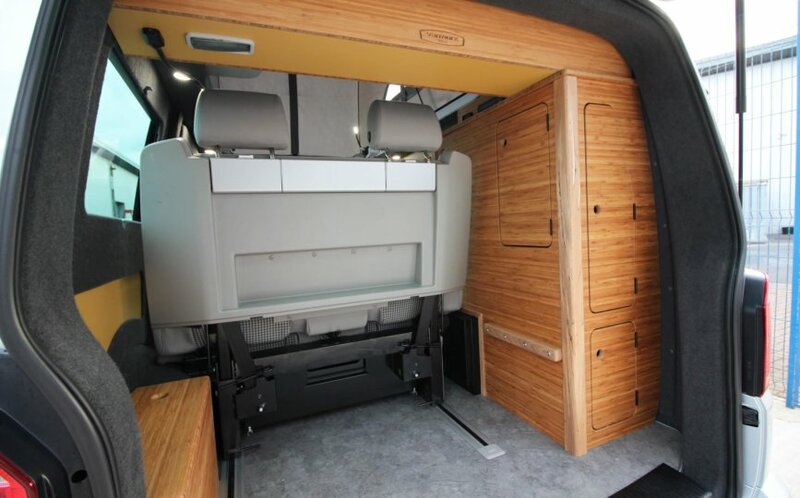 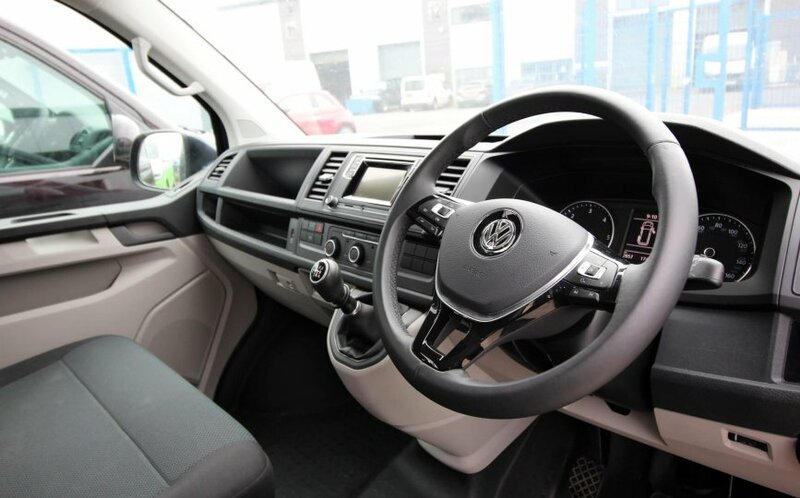 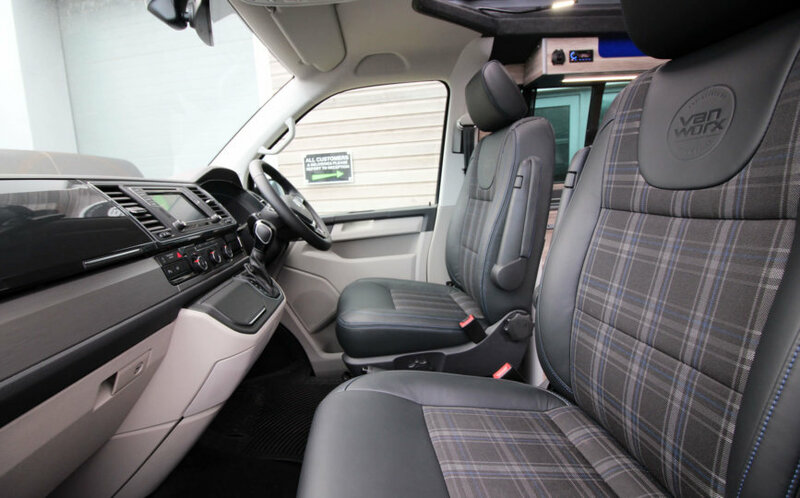 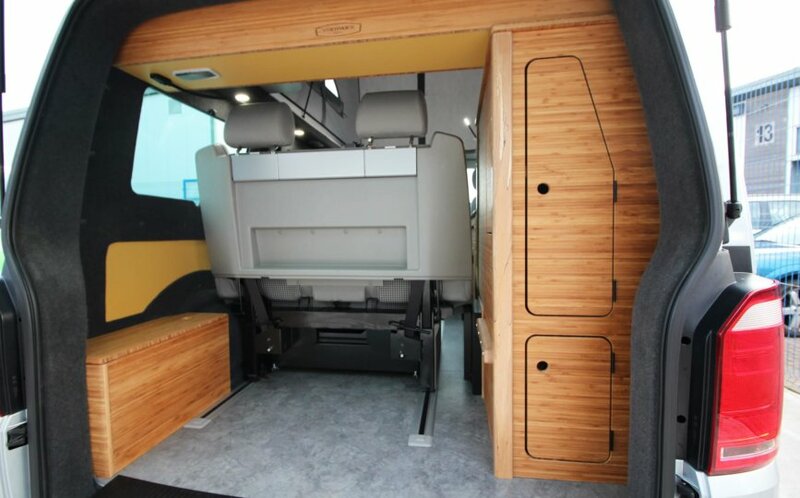 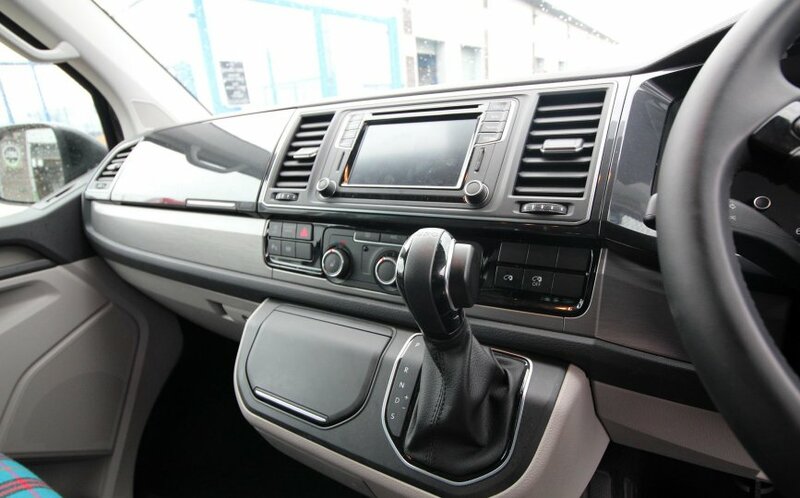 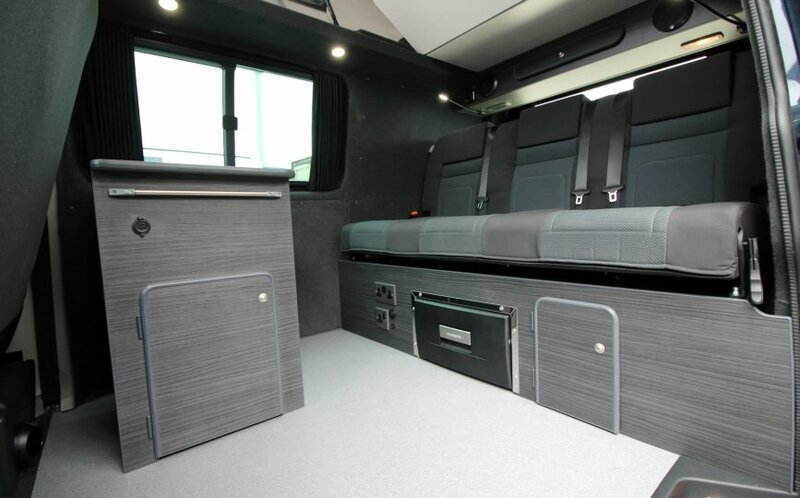 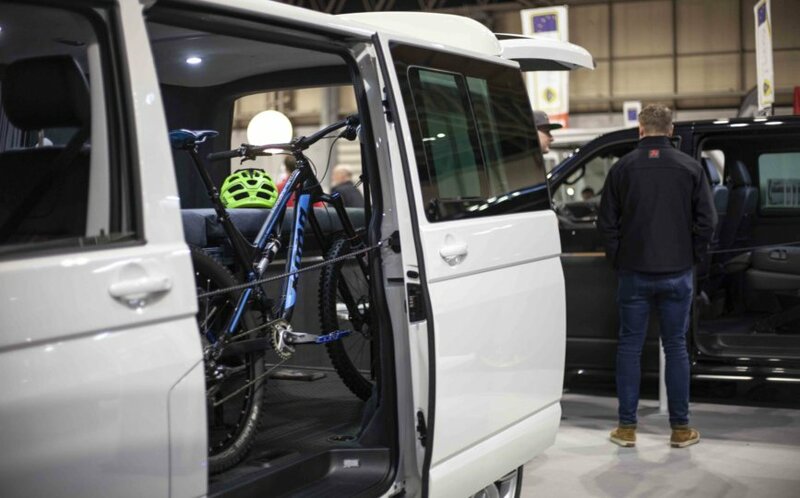 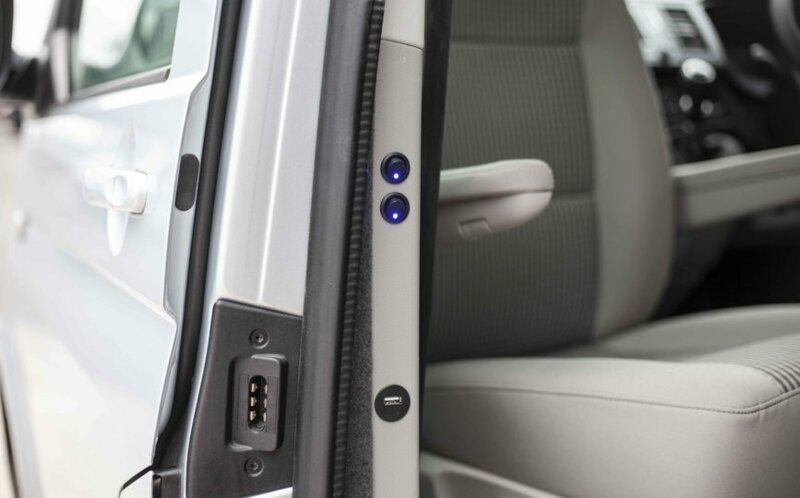 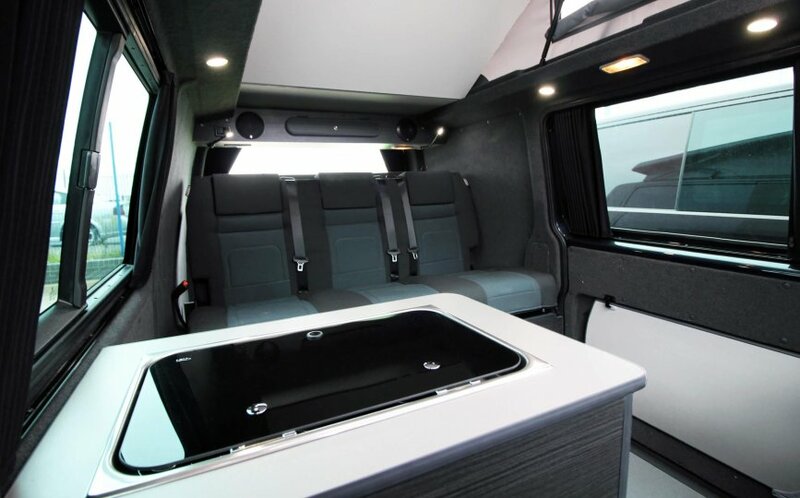 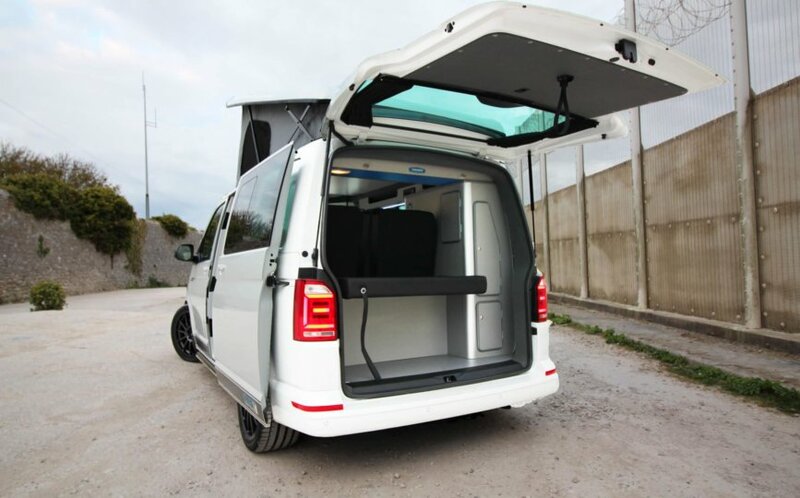 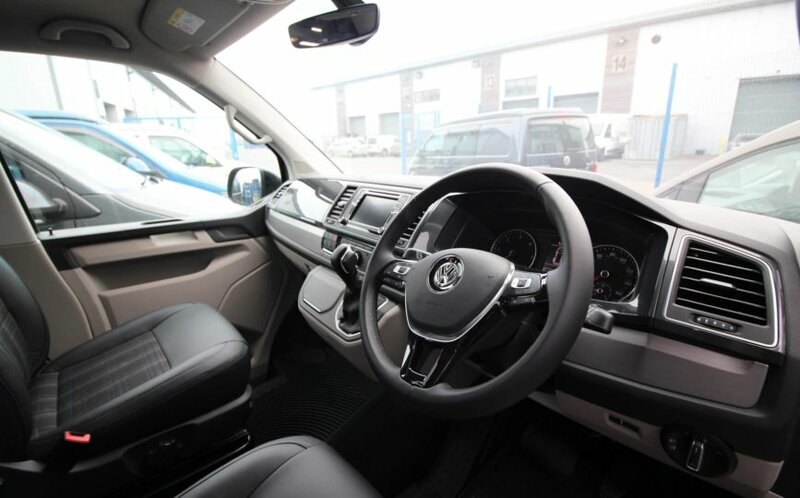 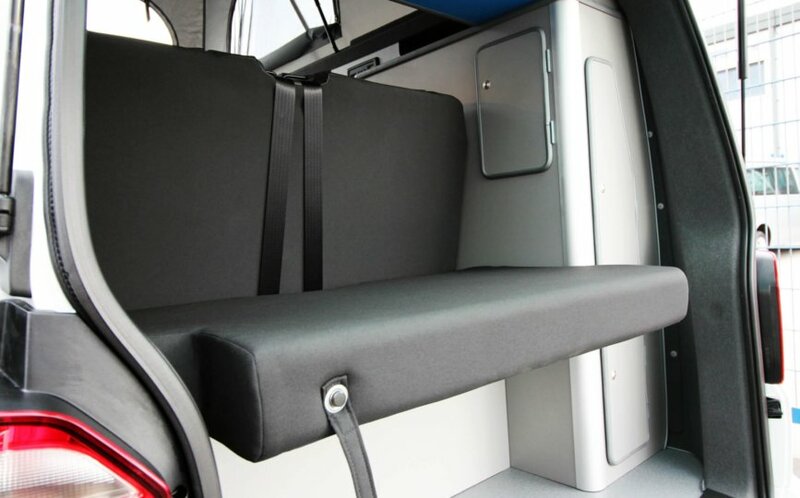 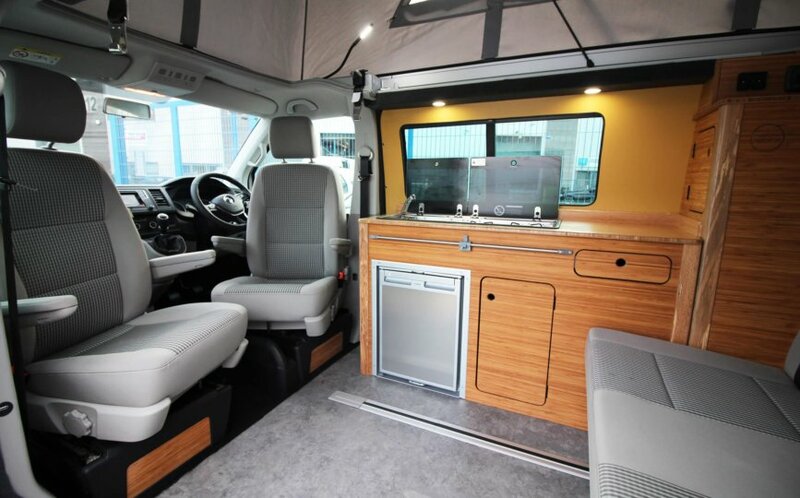 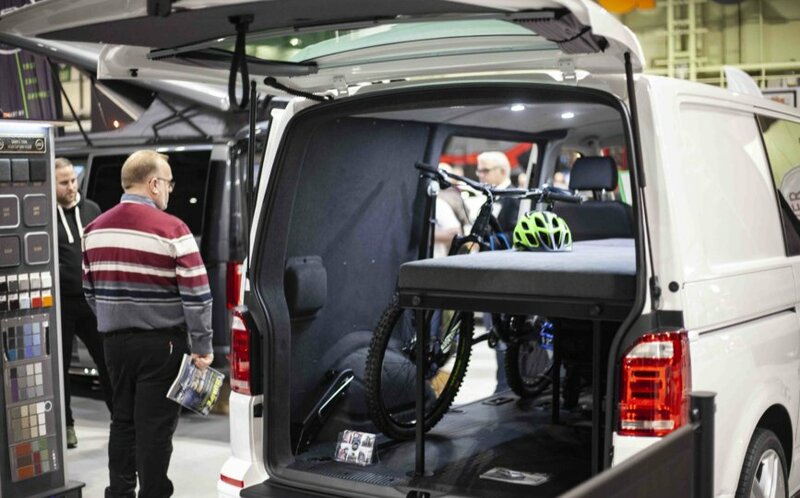 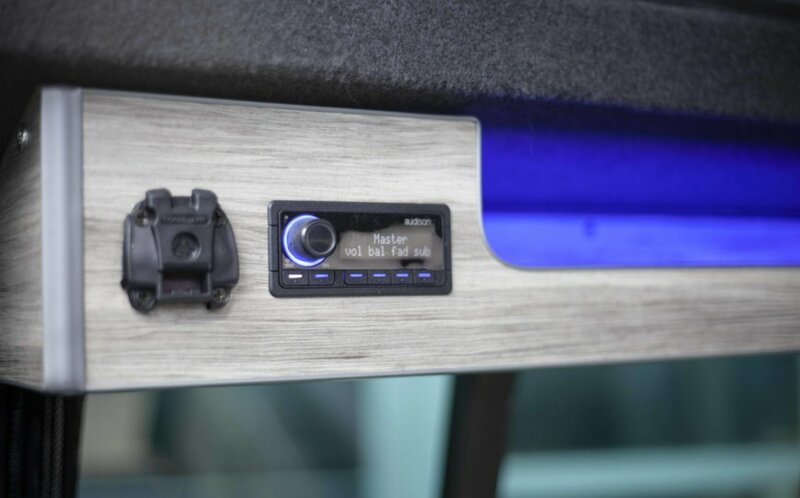 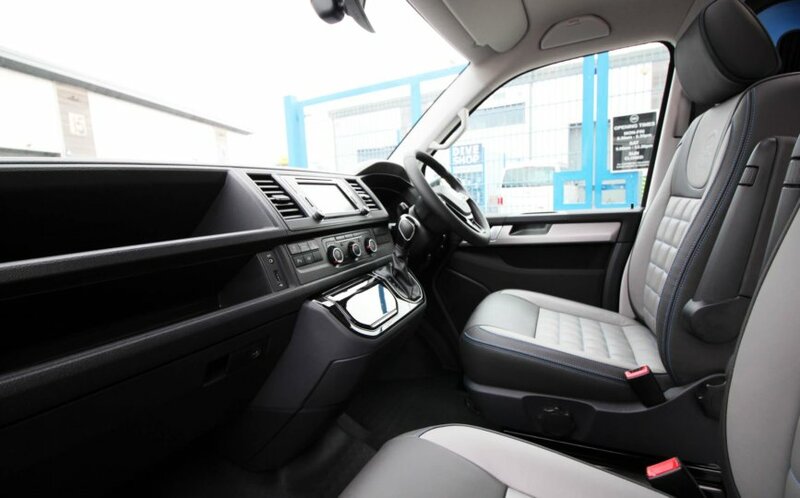 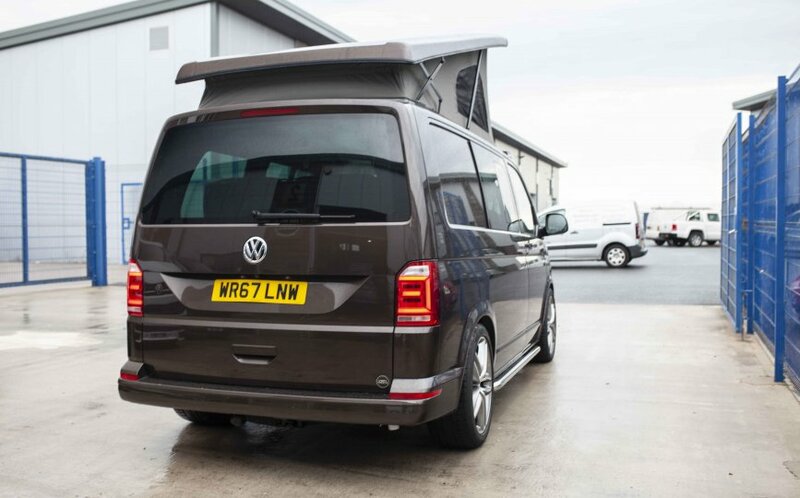 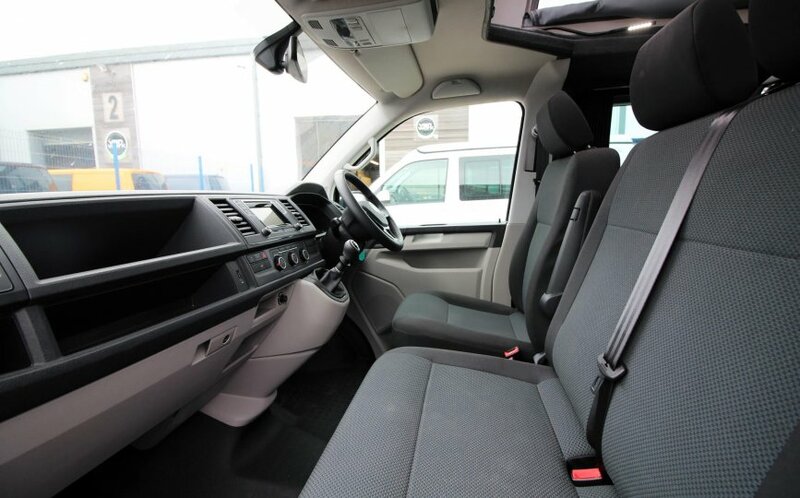 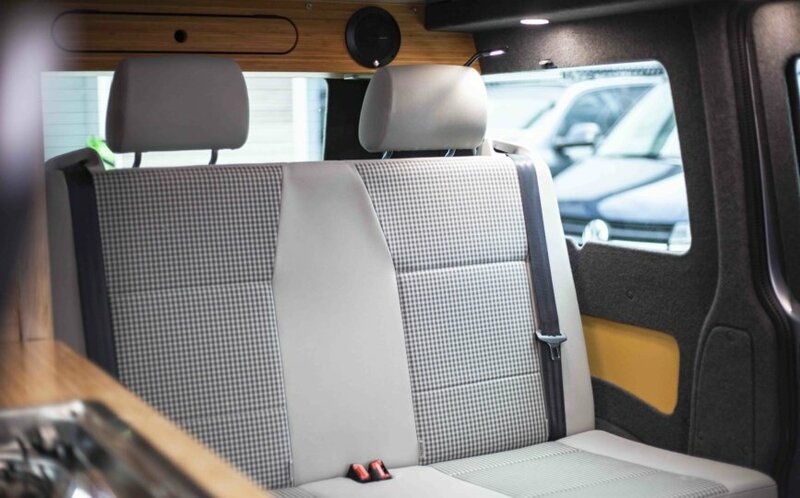 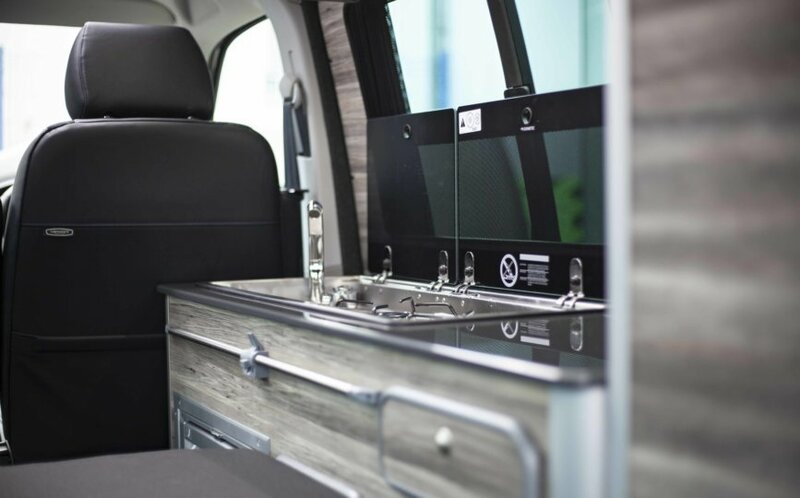 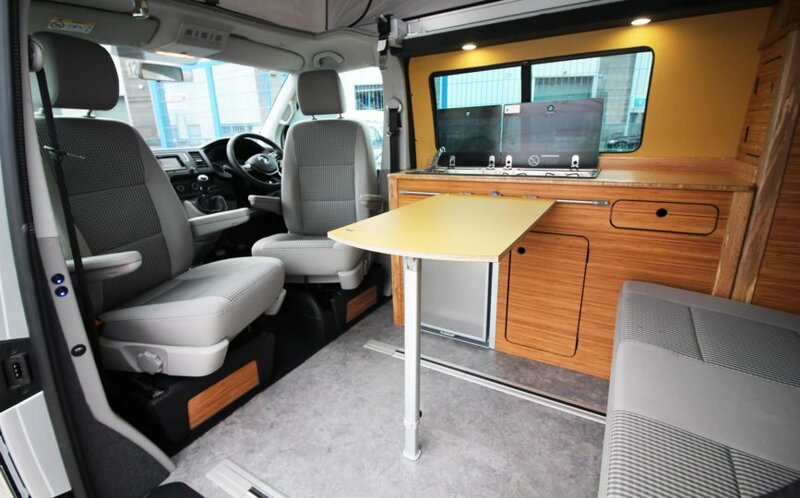 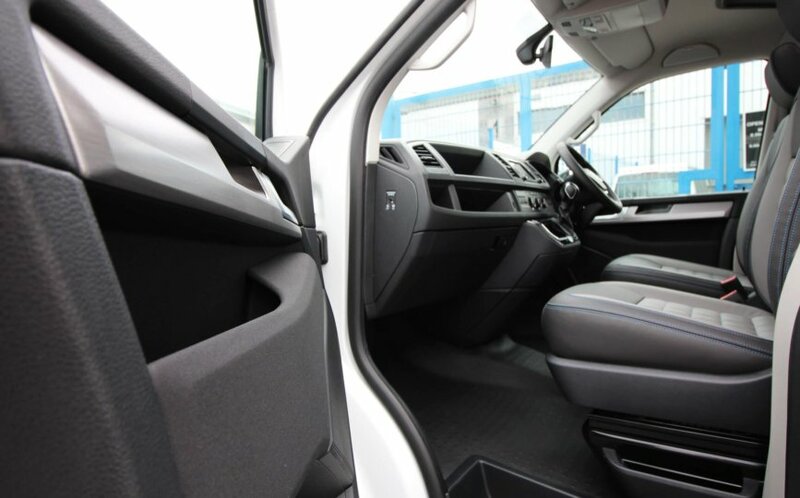 The base vehicle is a HUGE spec 204 DSG Kombi with literally every extra possible including remote electric side and rear doors, LED lights, Nav, App Connect, heated and swivel seats, Comfort dash etc. 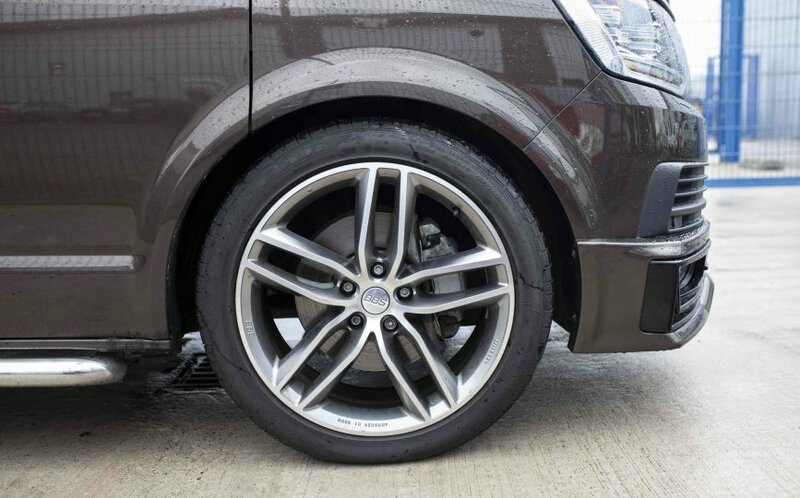 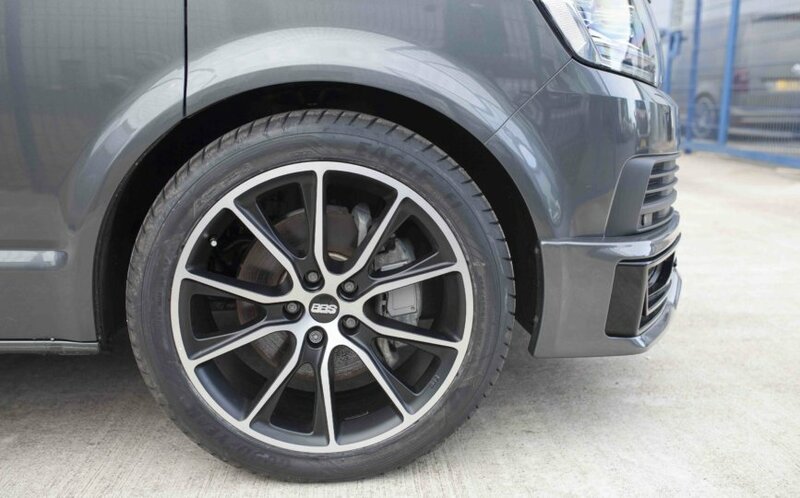 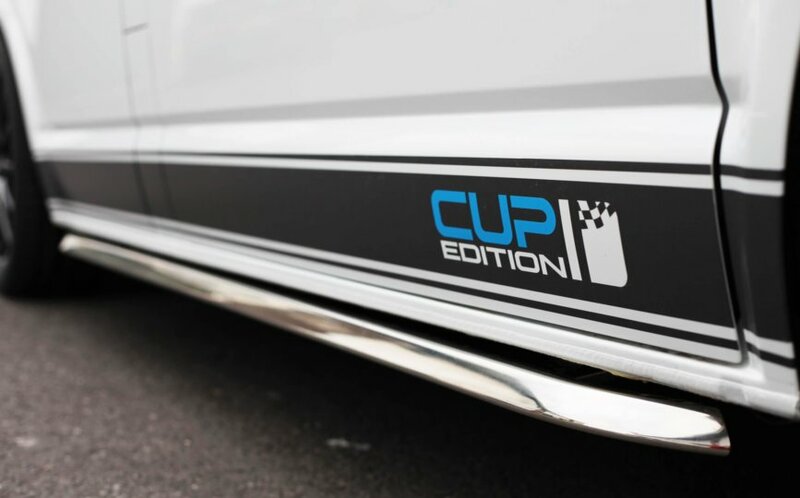 We have fitted a full Thruxton styling pack inc Ltd Edition BBS wheels. 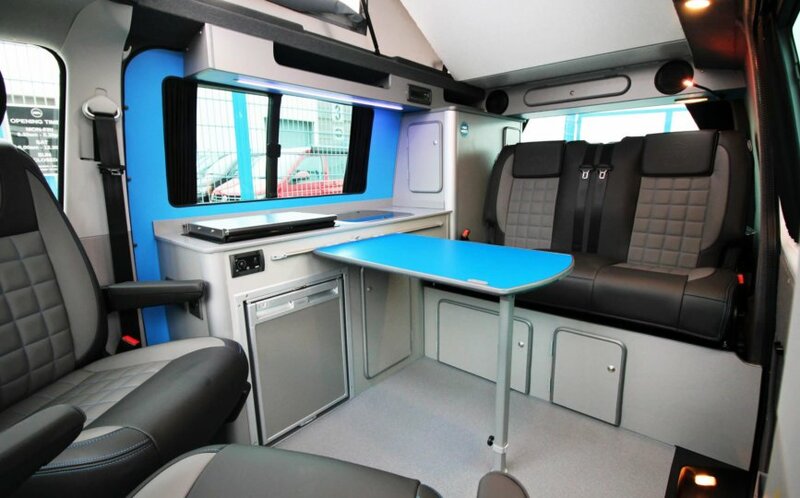 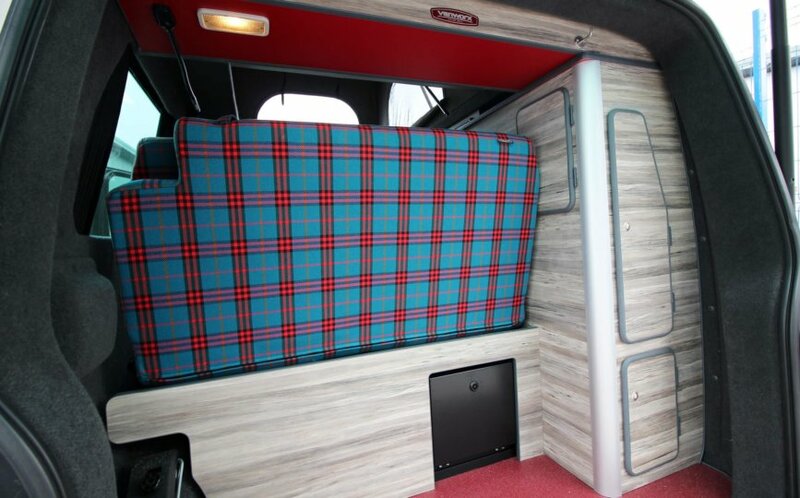 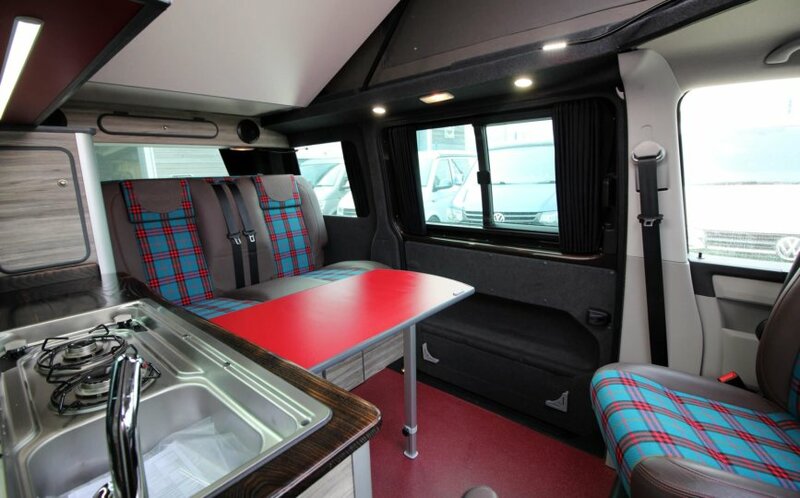 Inside we have carried out a full Slipper conversion, upgraded roof with Open Sky canvas, night heater, leather upholstery (this is removable if buyer wishes @ -£2000). 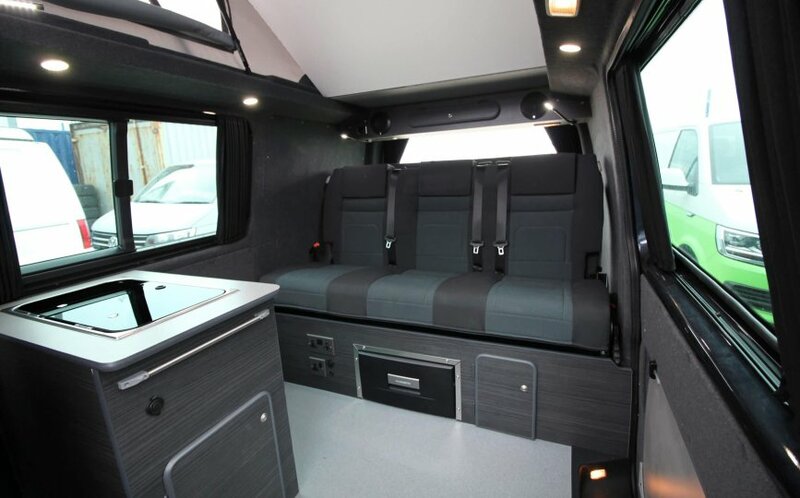 Absolutely massive spec and vehicle is in as new condition. 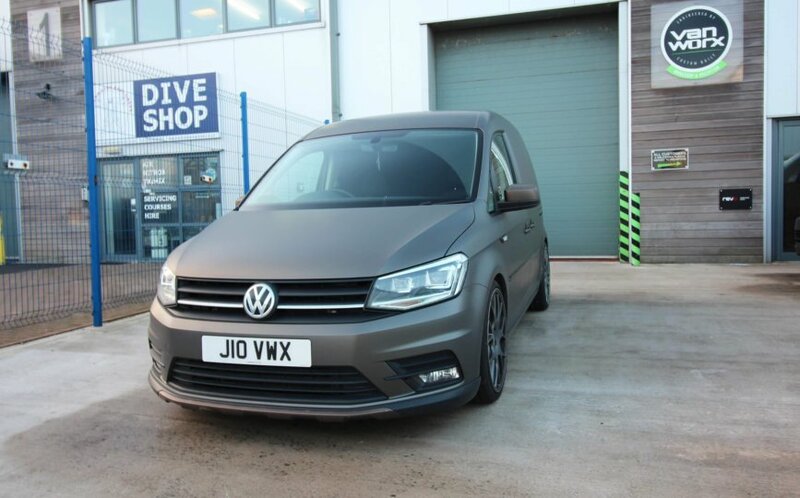 A 204 DSG T32 Indium grey! 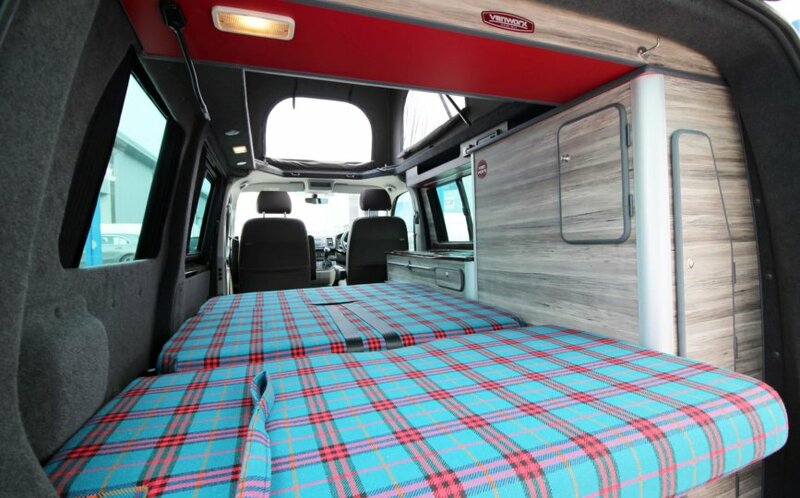 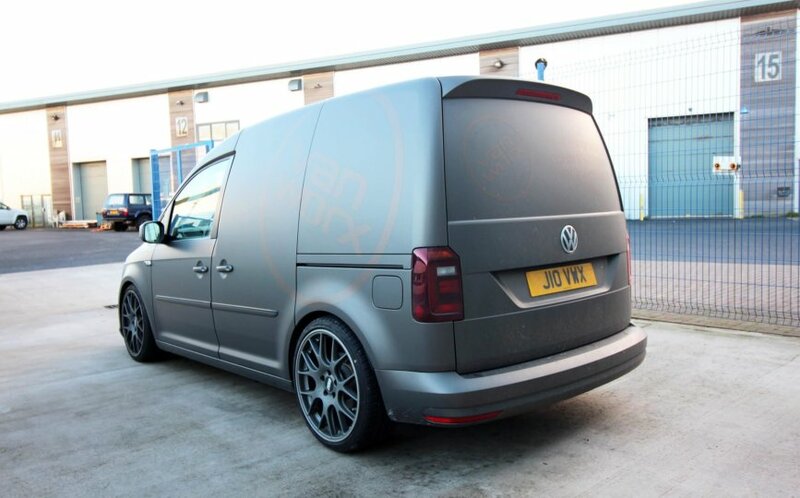 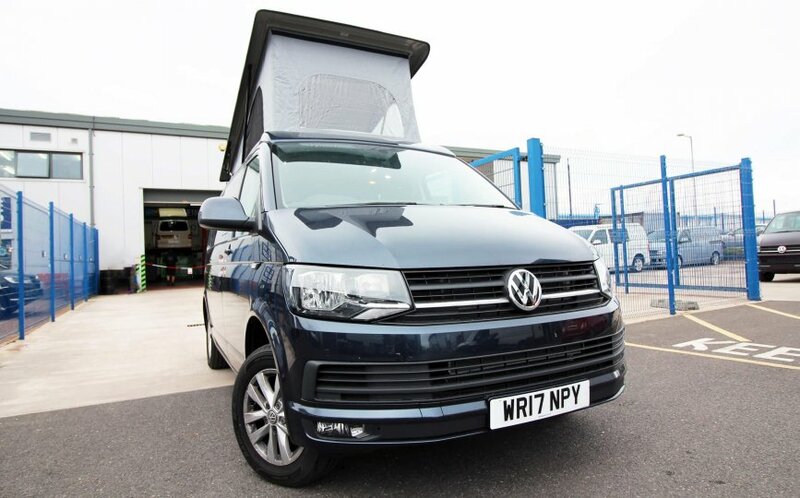 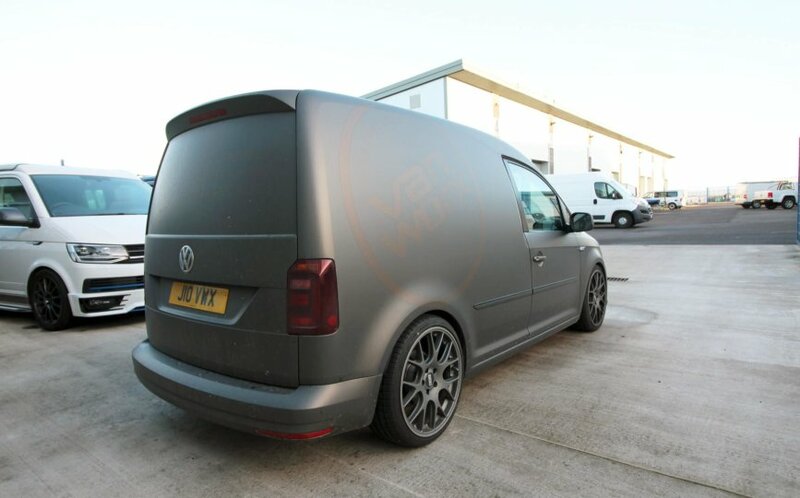 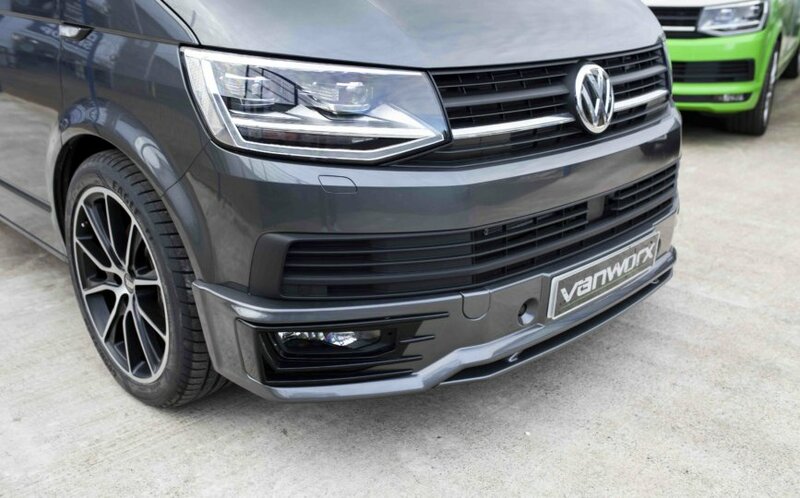 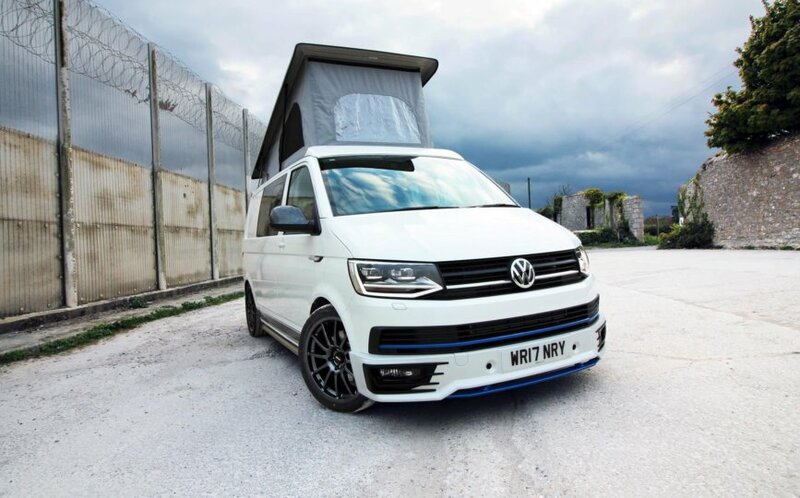 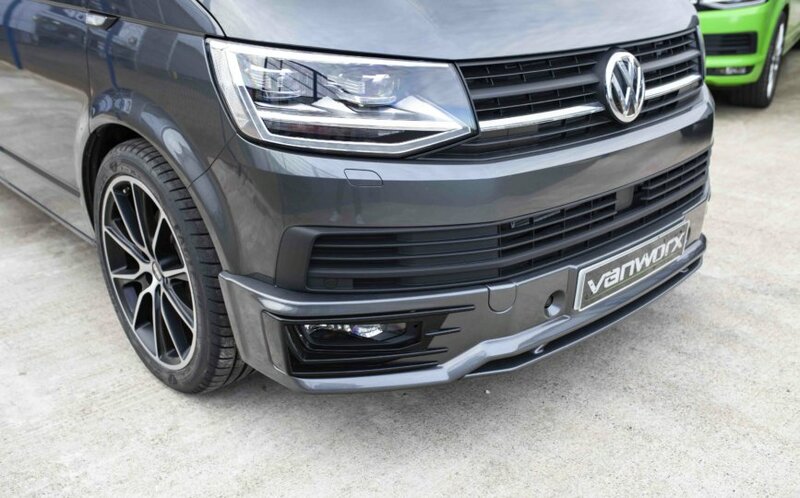 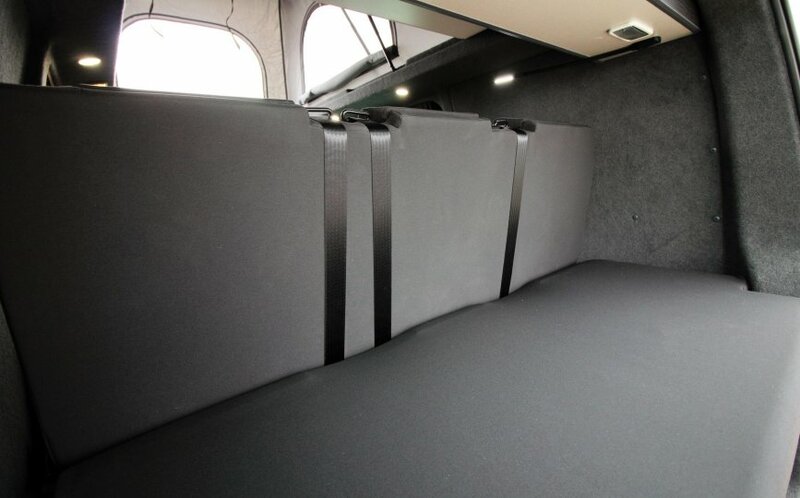 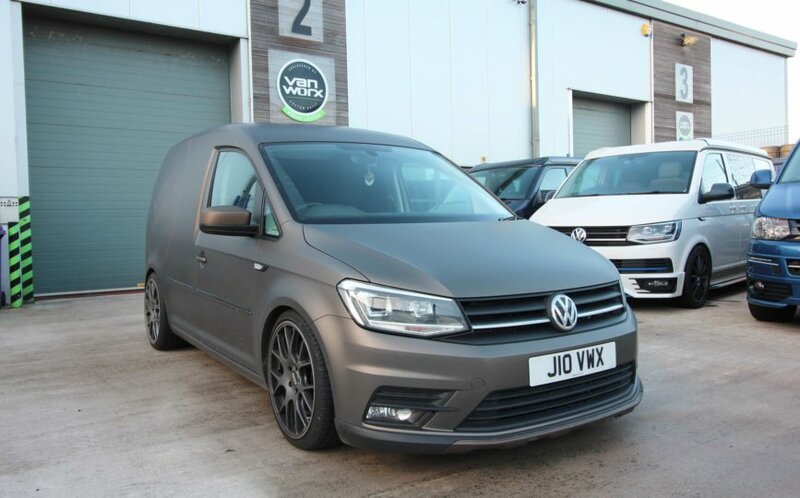 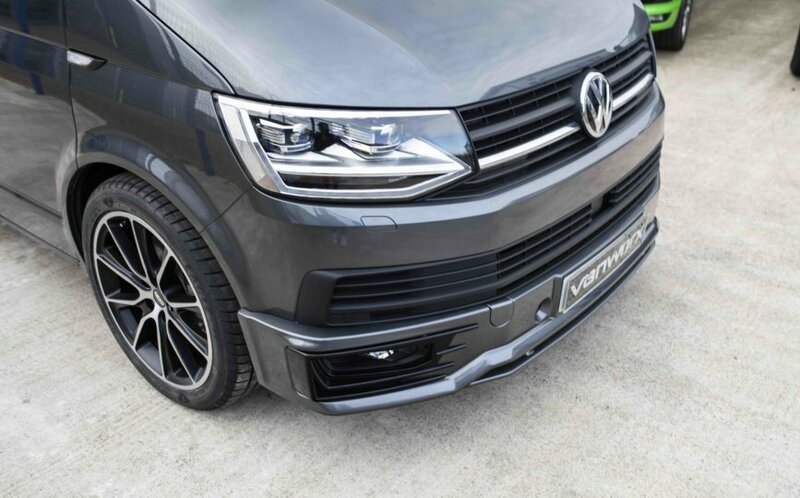 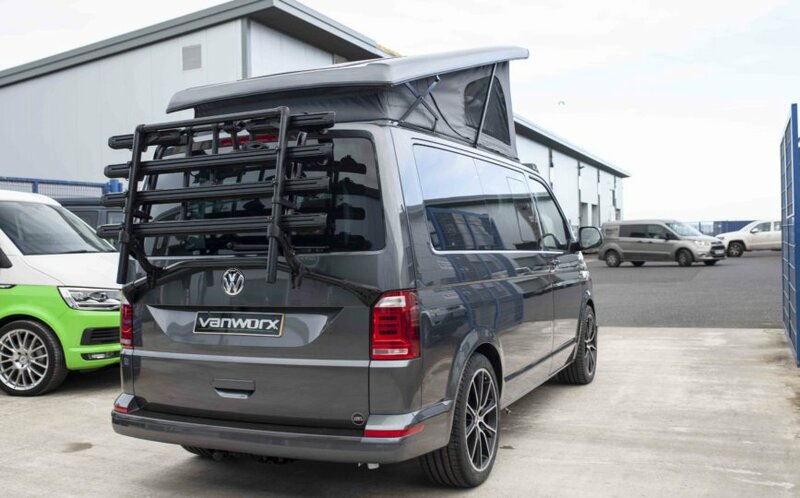 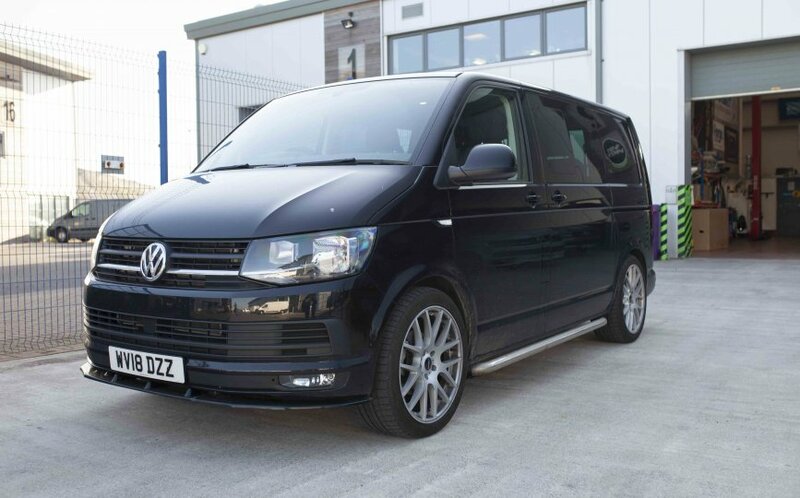 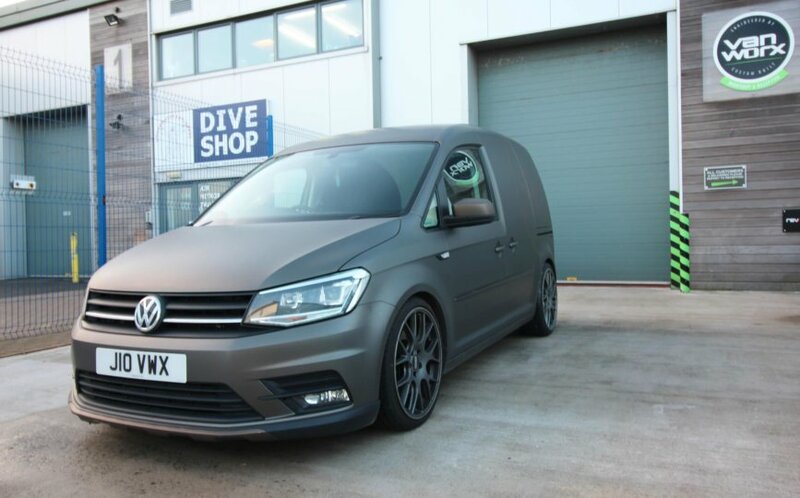 Fitted with a Vanworx Sport+ pack, 4 berth Slipper conversion, Audison sound upgrade with stage 2 DRC, mood floor lighting, VW privacy window, Webasto diesel heater, Lithium battery, 100 Watt roof mounted solar panel, multirail, leather upholstery, Bilstein coilovers and BBS 20″ SV upgrade. 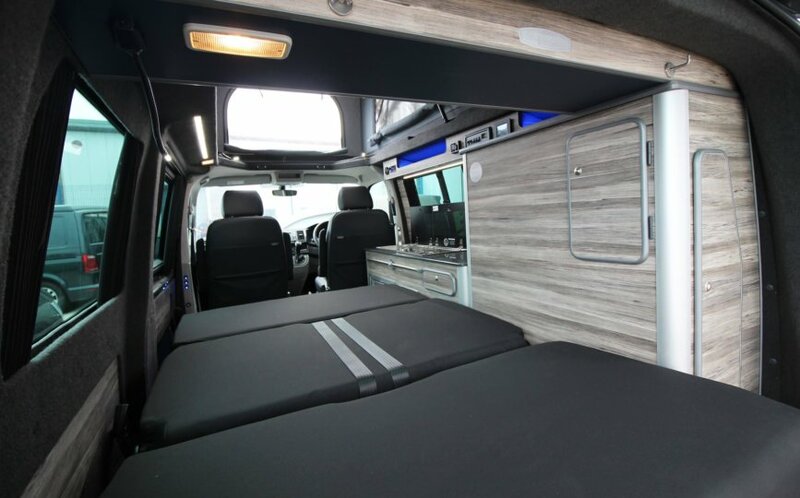 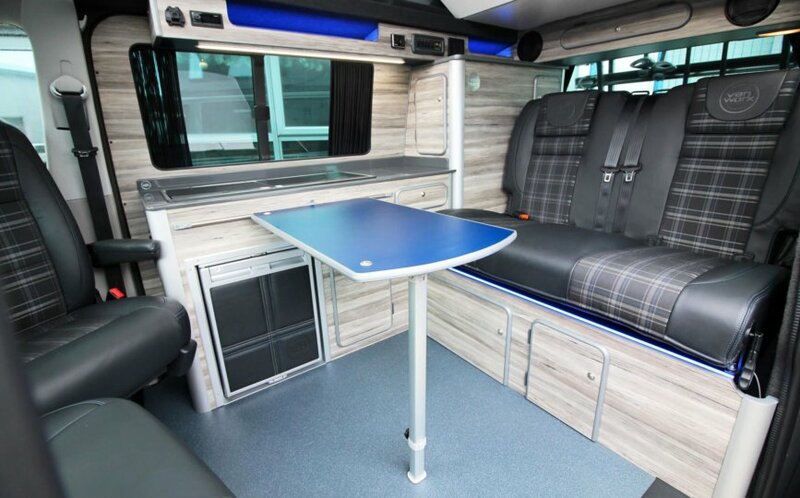 2018 150 Highline 6 seater kombi with some styling and leather (not pictured). 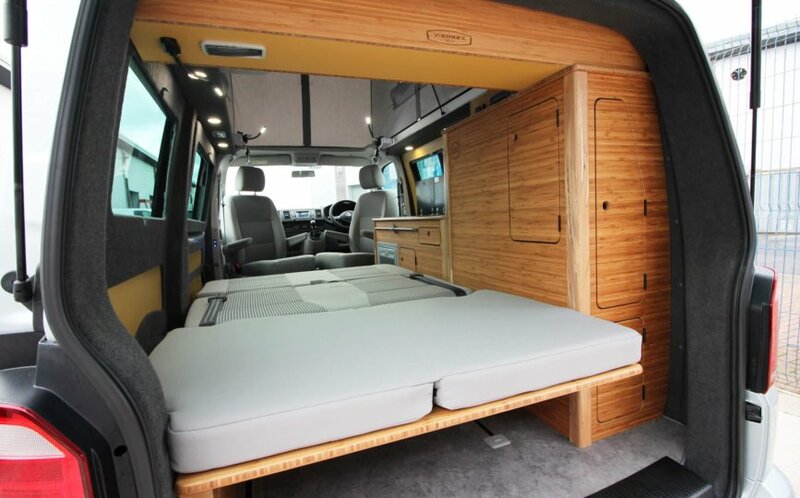 Perfect camper donor! 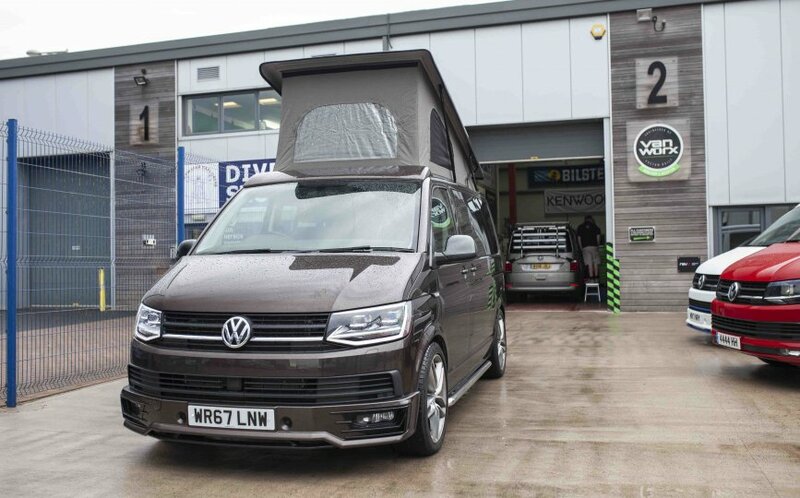 Used 204 DSG LWB Chesil conversion very high spec. 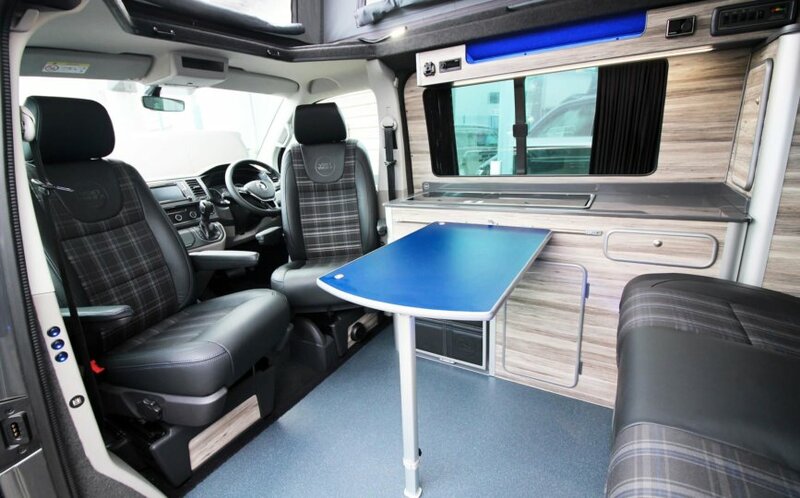 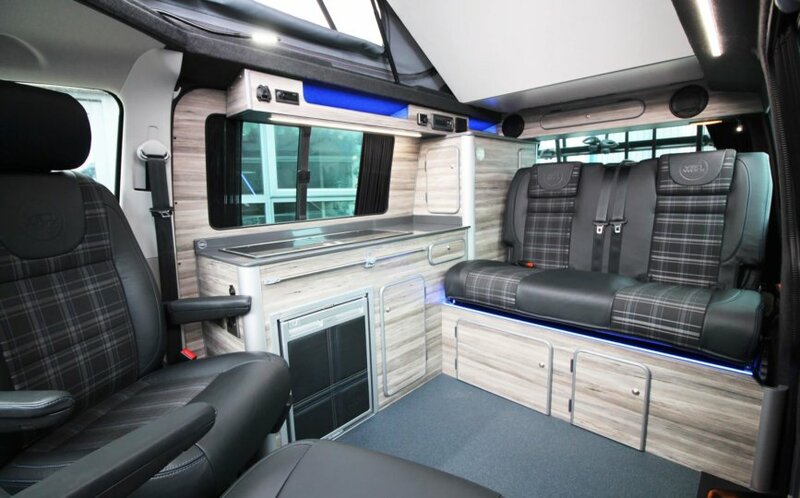 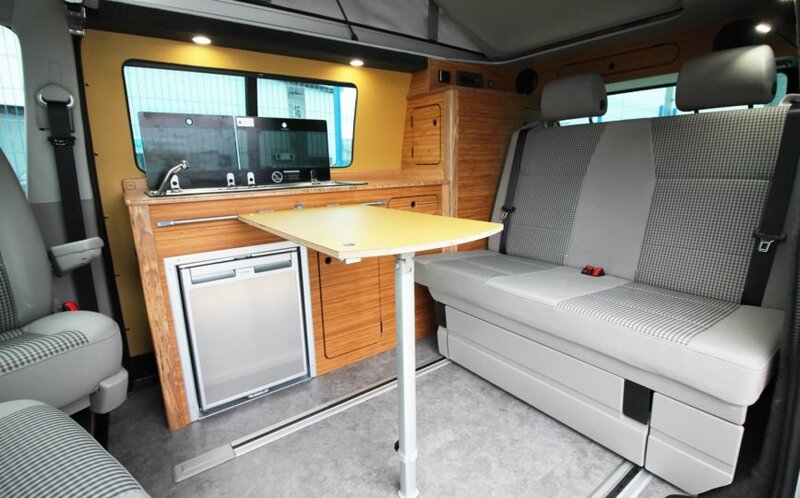 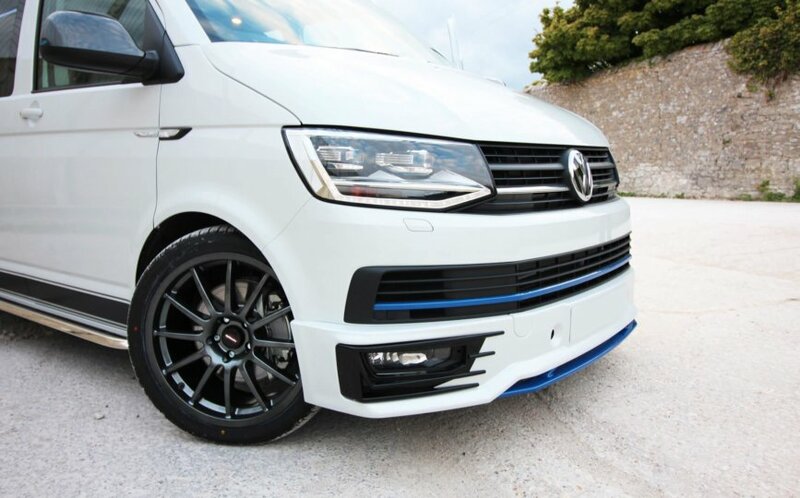 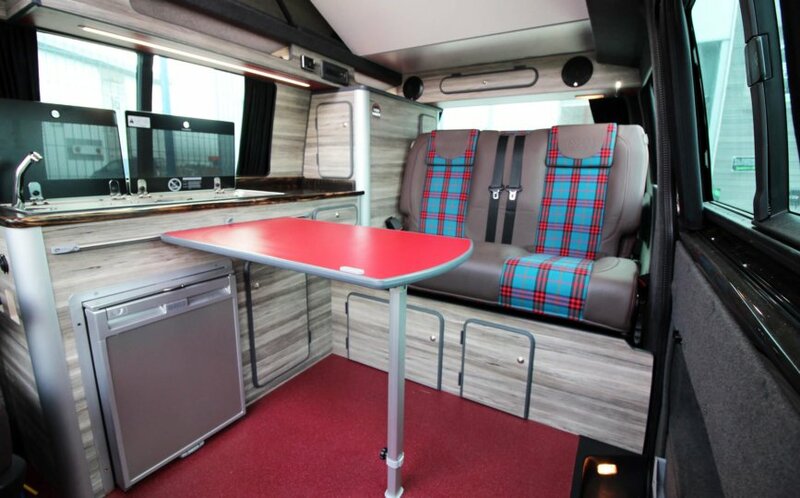 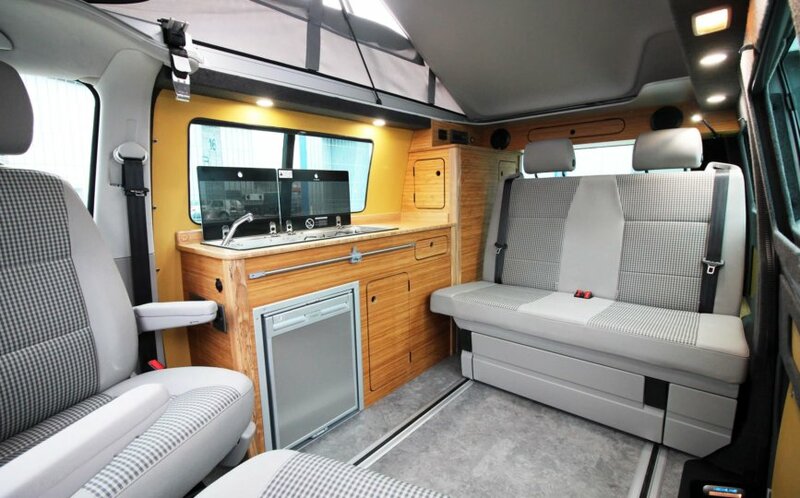 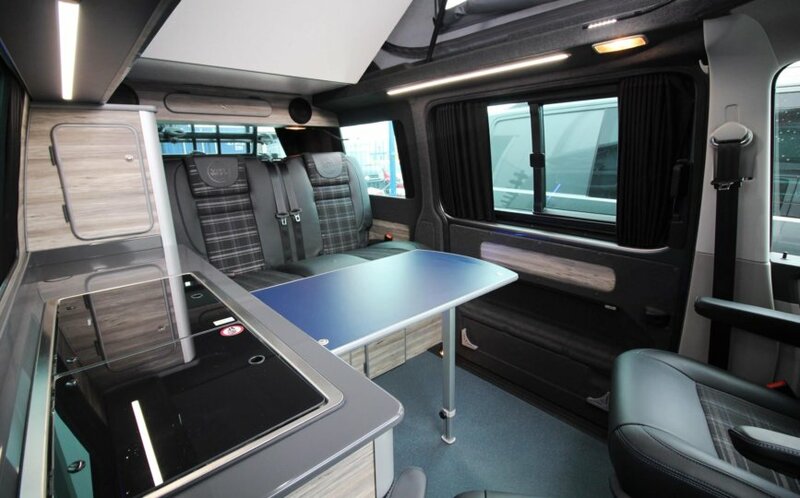 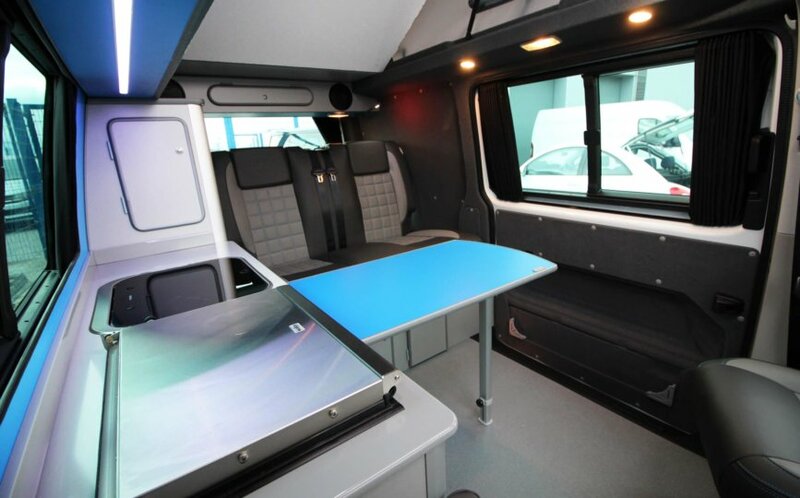 A previous customers 2018 Vanworx camper conversion upgraded with Led lights, Comfort dash, heated seats, Bilstein coilovers, BBS Wheels, Sportline styling kit. 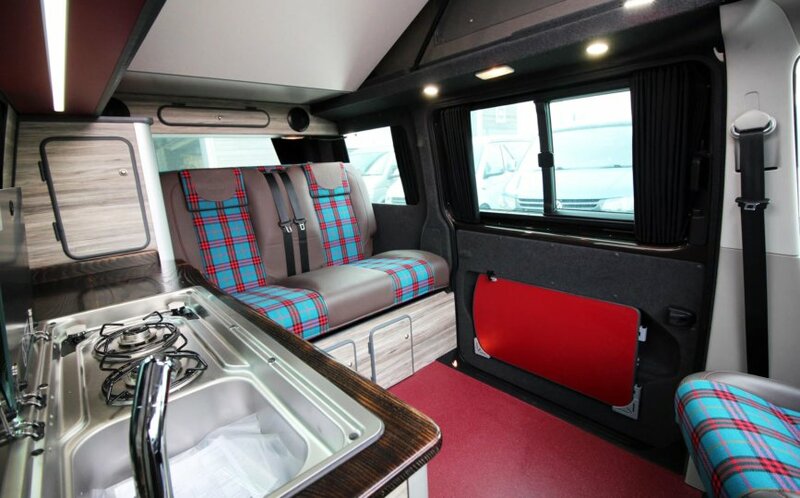 Full Chesil conversion with Vanworx leather, Webasto heater, Staron worktop etc. 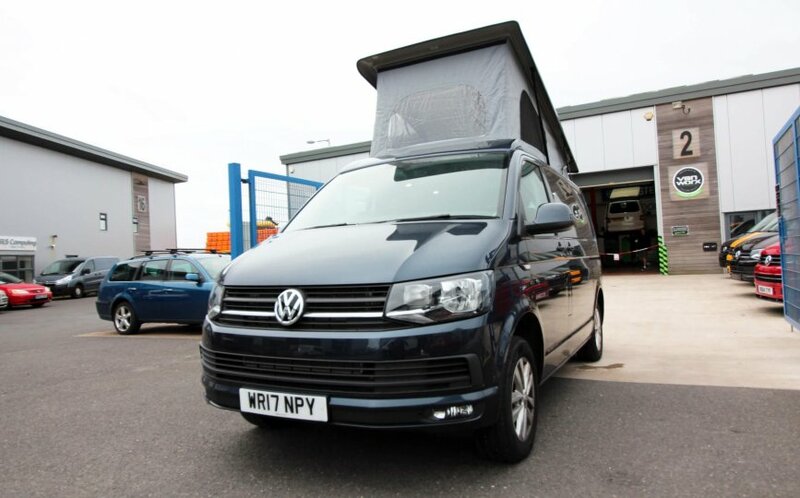 Please contact 07889634455 for more information.